EARLY JULY: Park redesign plan complete. The goal of this phase of Community Engagement is to facilitate creative and collaborative community meetings and actions to communicate the future vision of the Culliton Park neighborhood, create a sense of ownership in the redeveloped Park, ease the transition of redevelopment in the neighborhood, and create better communication/trust between Lancaster City authorities involved in the redevelopment process and residents of the Southwest quadrant of Lancaster City. 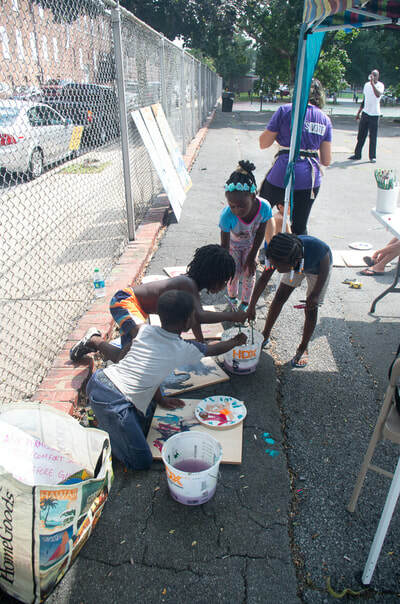 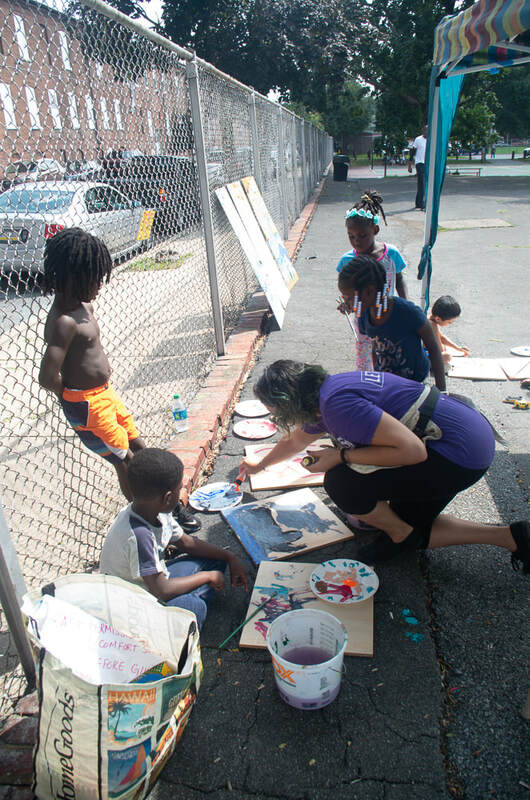 Additionally, to creatively incorporate an understanding around the need for redevelopment of the park that includes improving management of storm-water while also being sensitive to the history of traumatic redevelopment and it’s after-effects that the community has lived through. 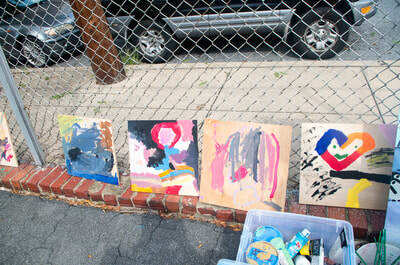 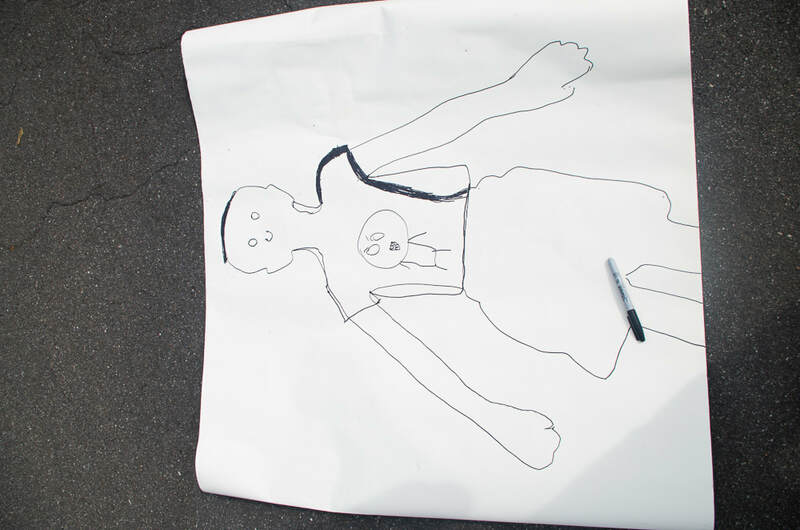 This collaborative project will occur in phases. 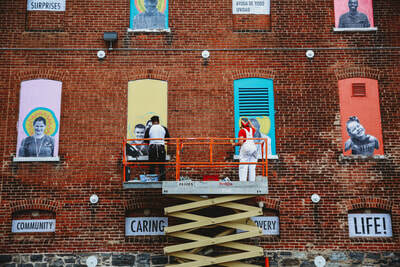 Stay tuned for more photos. 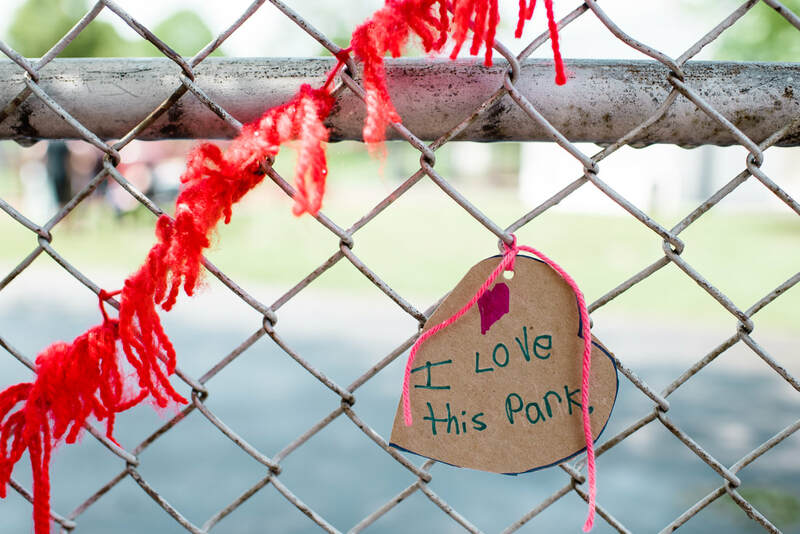 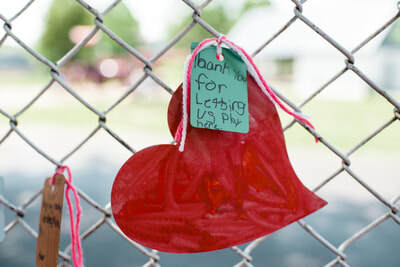 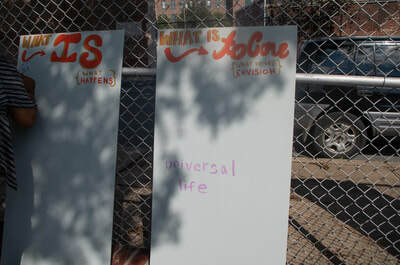 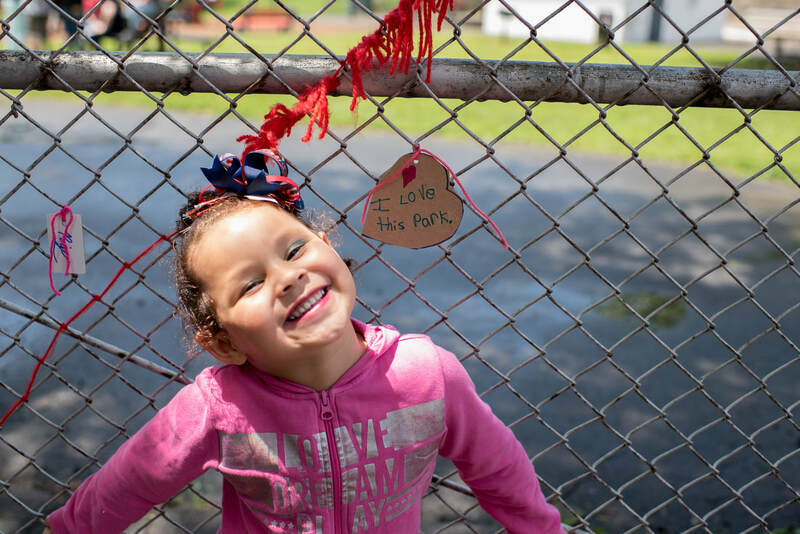 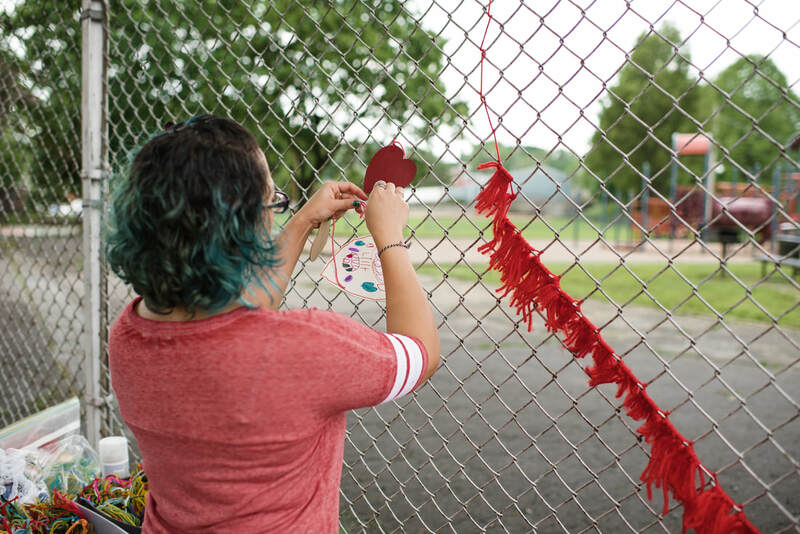 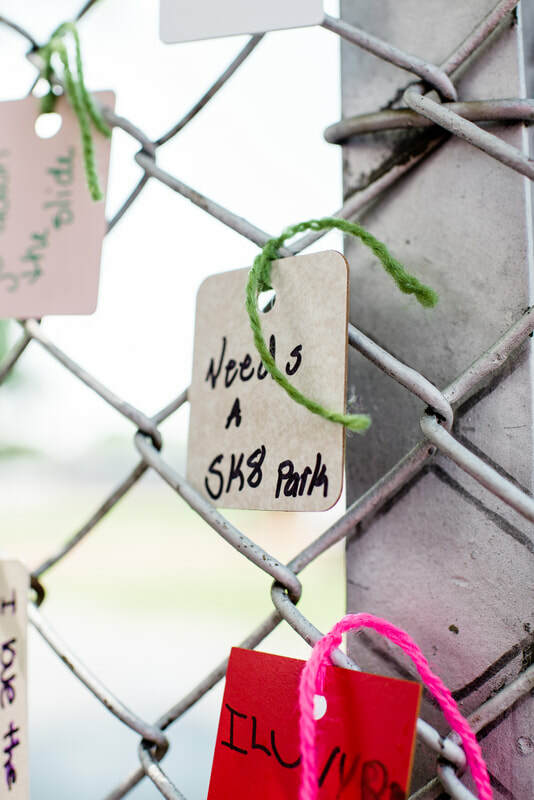 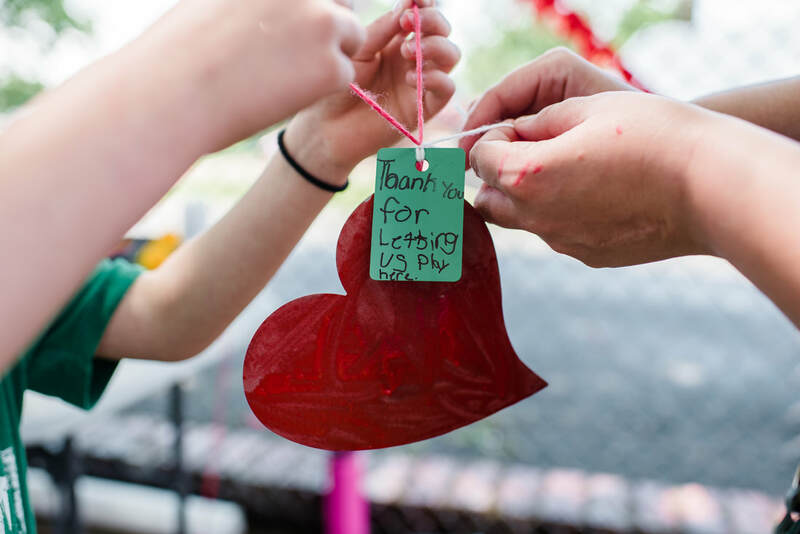 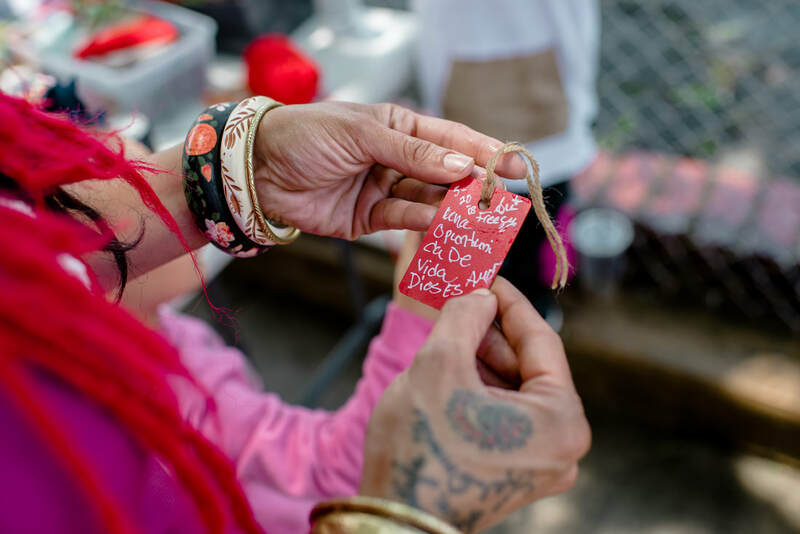 Residents will be invited to write a Love (or Hate) note to Farnum/Culliton Park. The notes will be written on recycled countertop and flooring chips and tied to a portion of the chain link fence around the park. 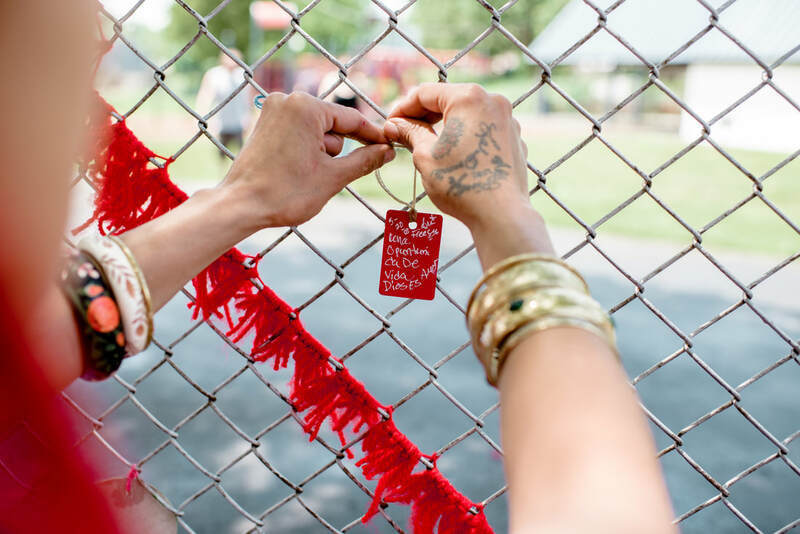 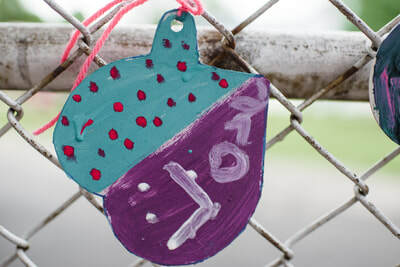 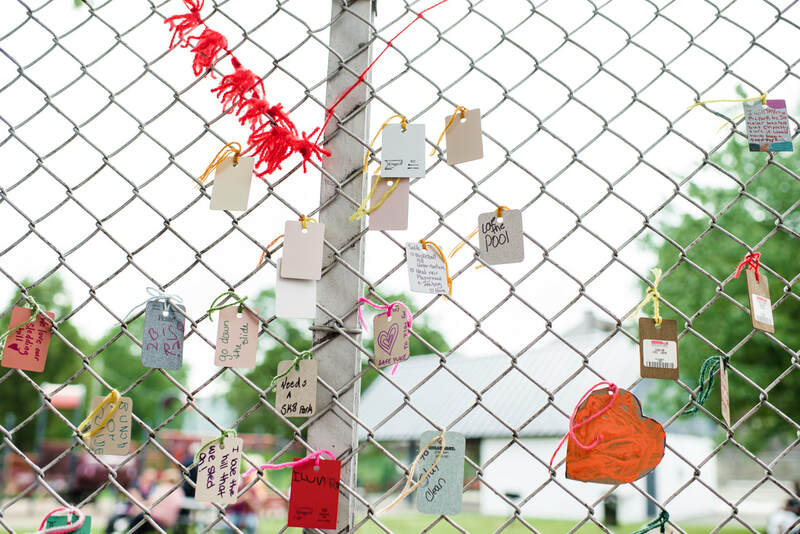 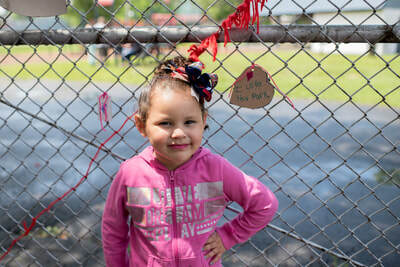 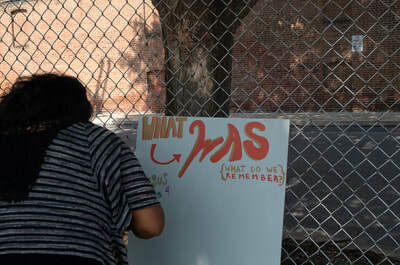 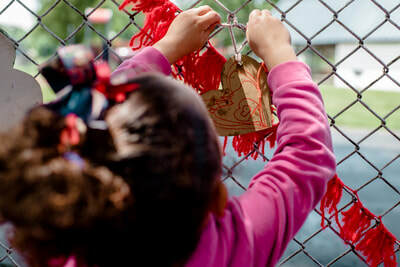 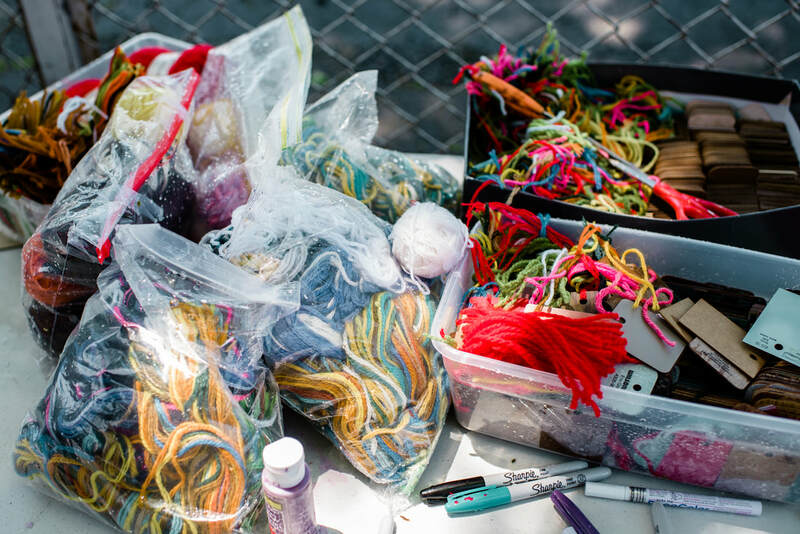 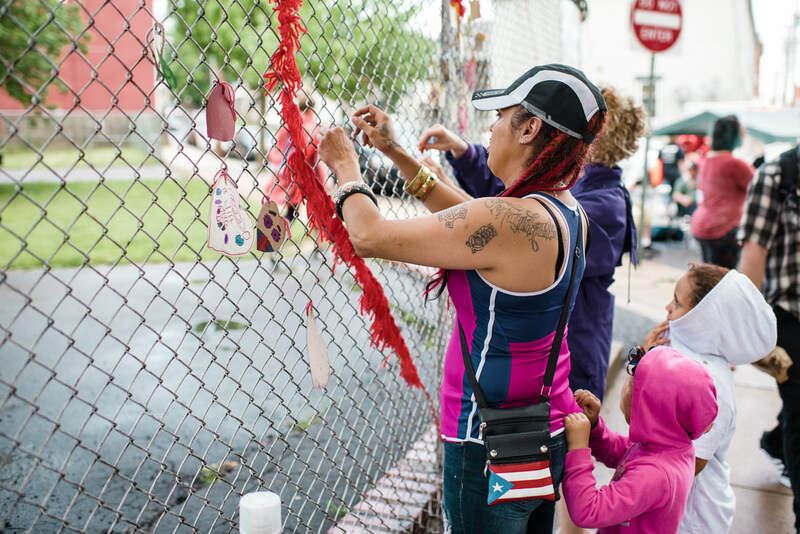 Residents will be invited to decorate the fence with the chips, heart shaped cardboard for longer notes, and yarn. 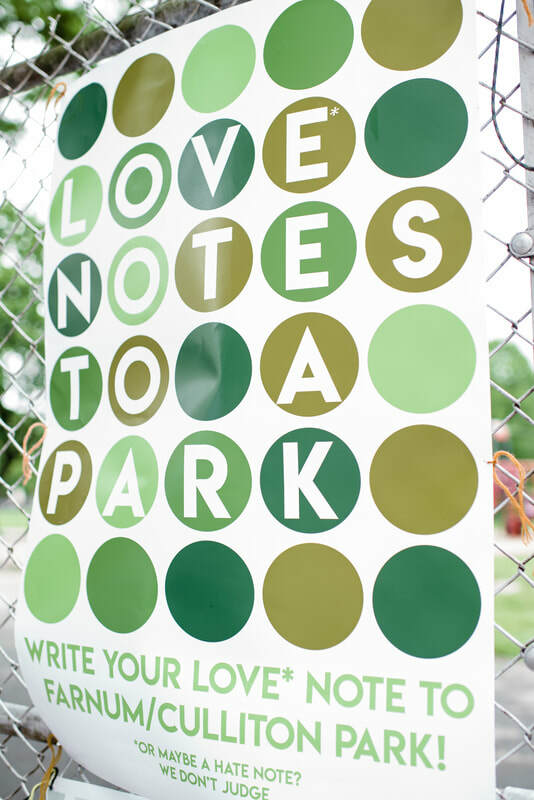 I will set up a tent and table with craft supplies to both finish the Love Notes to a Park mosaic and have Pop-Up Craft time. 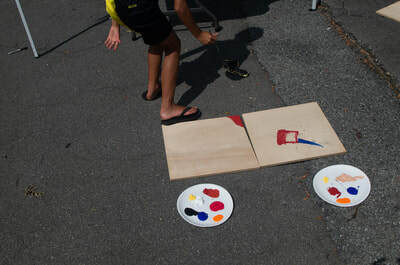 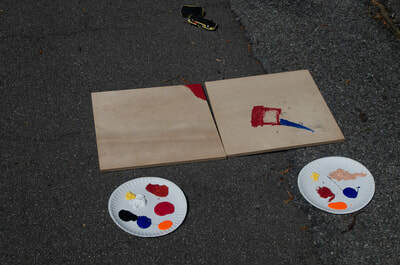 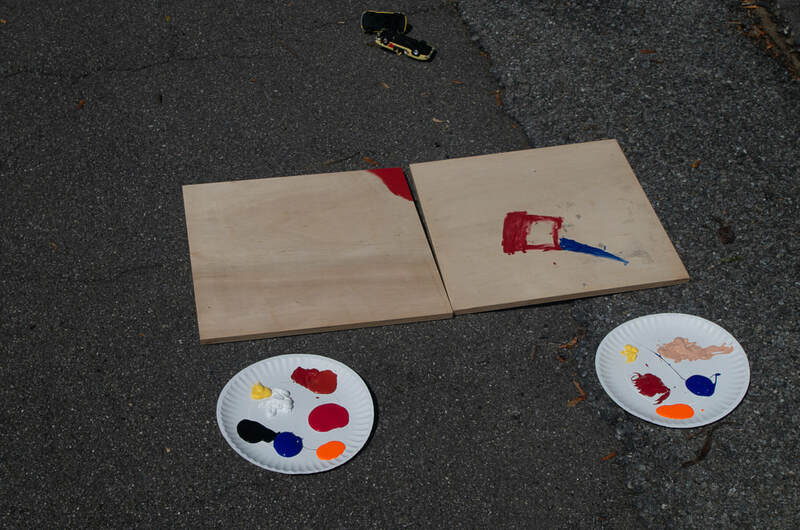 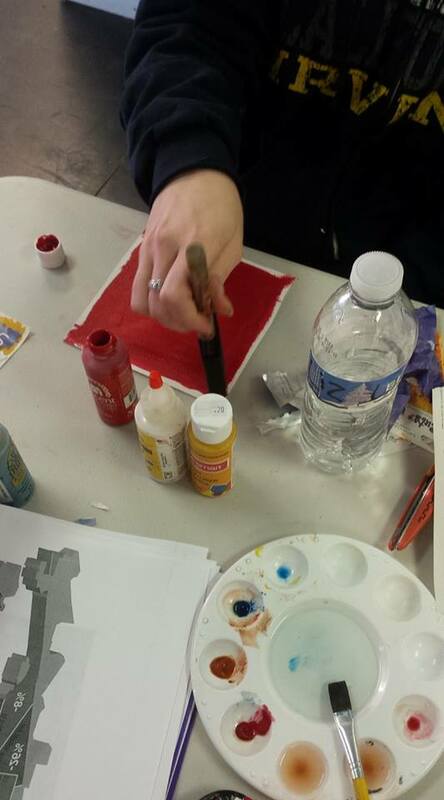 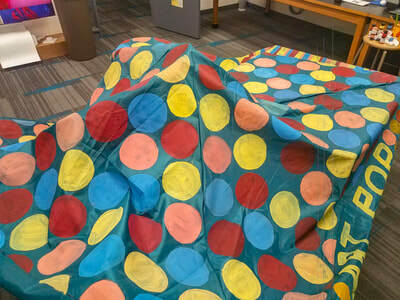 The tent and table will be vibrantly painted so that residents can easily recognize it from afar. 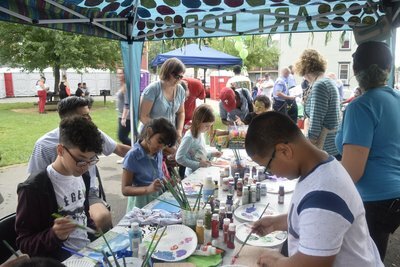 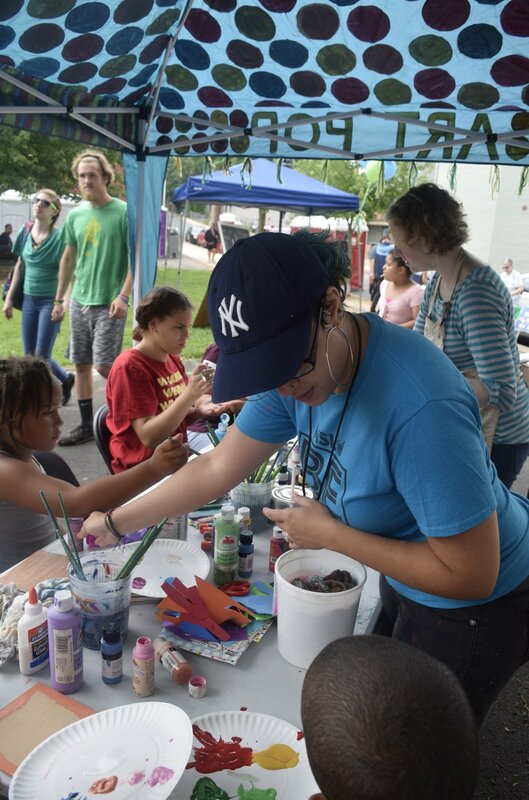 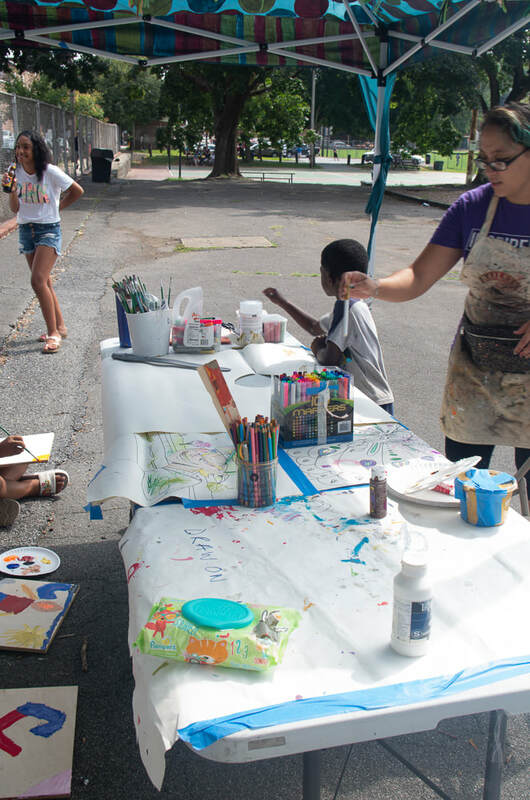 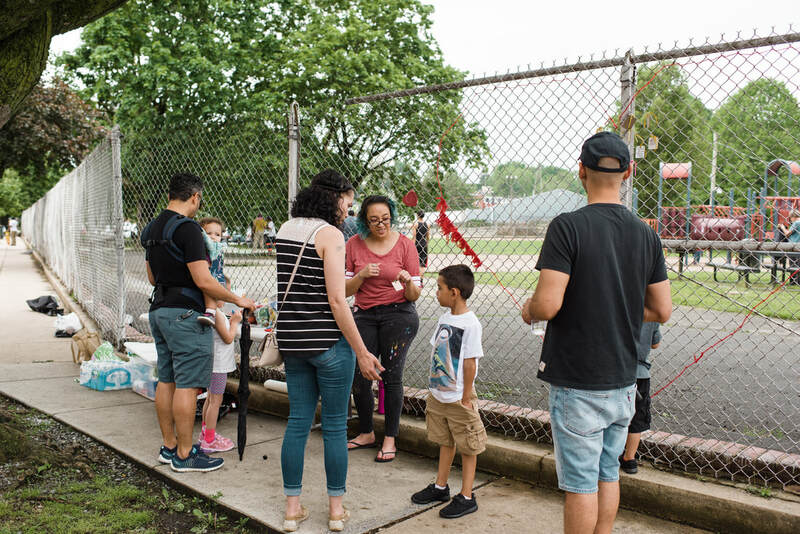 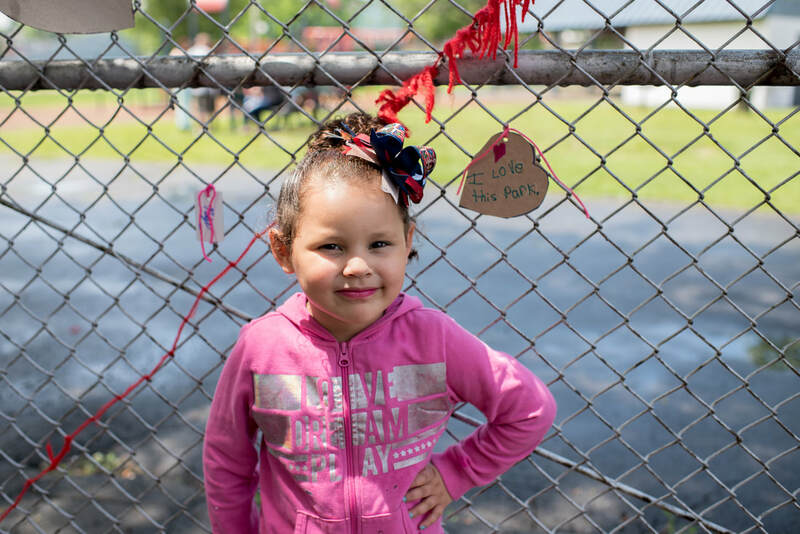 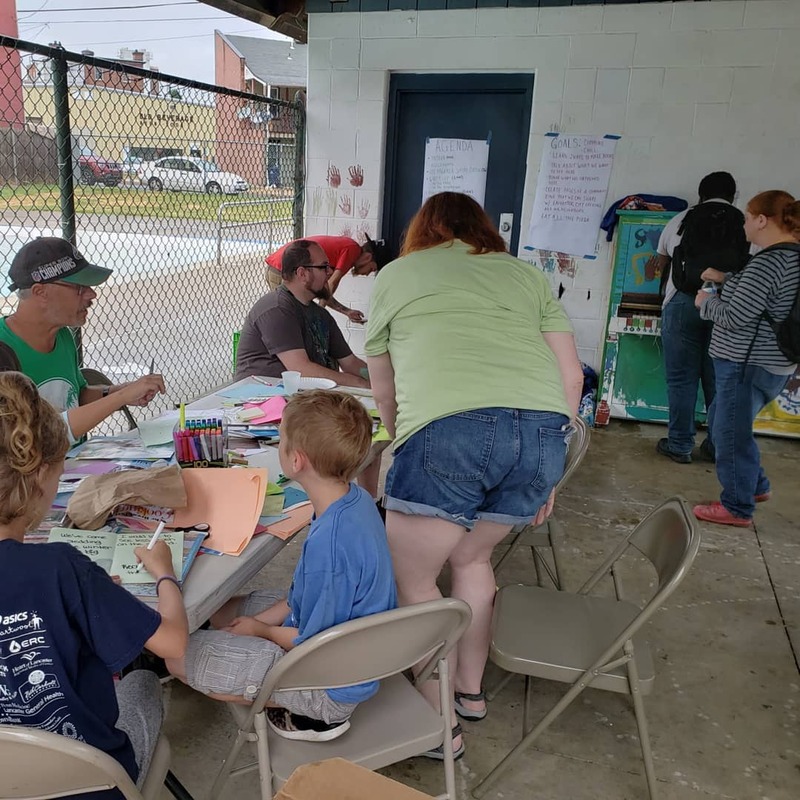 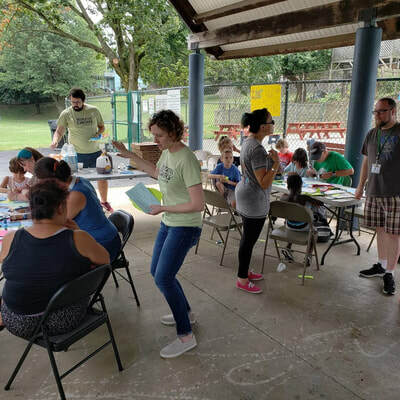 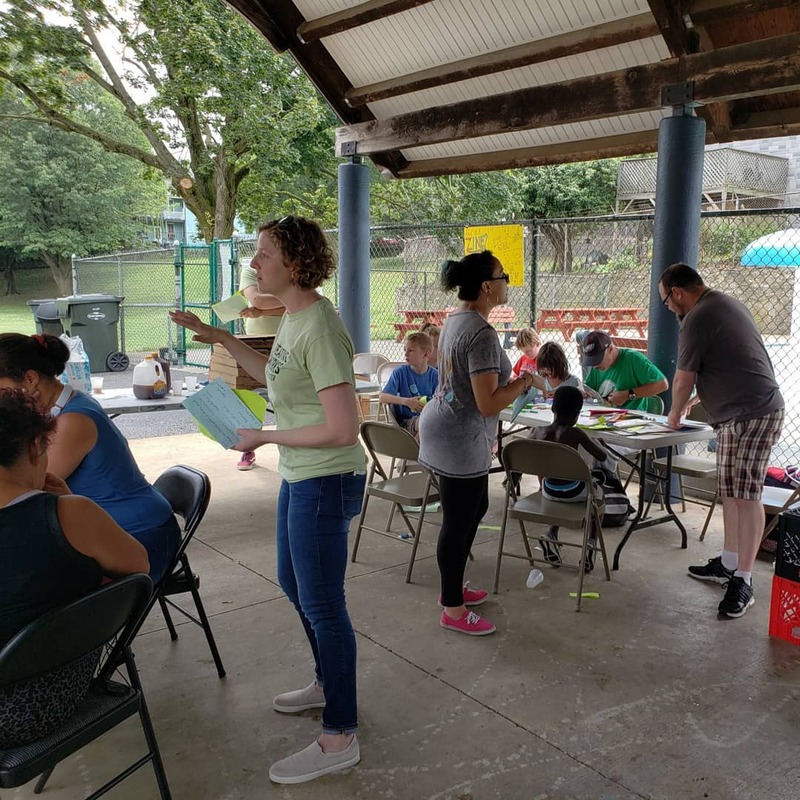 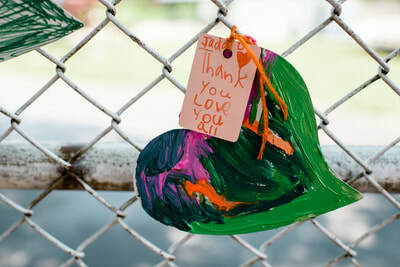 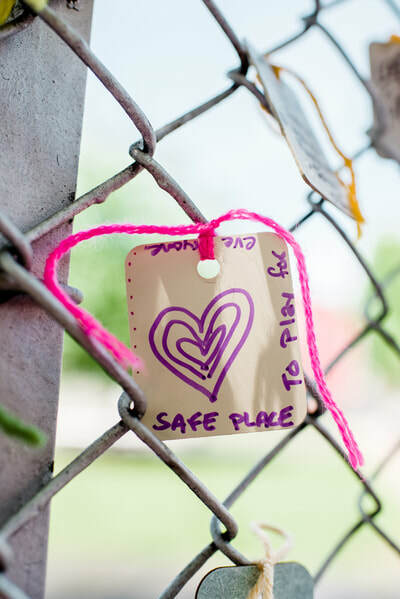 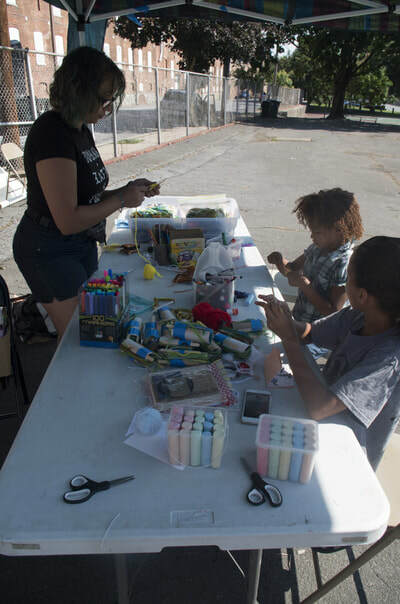 As previously mentioned, families have expressed two key needs: an arts and crafts outlet for their children and wanting everyone to feel safe in the park. 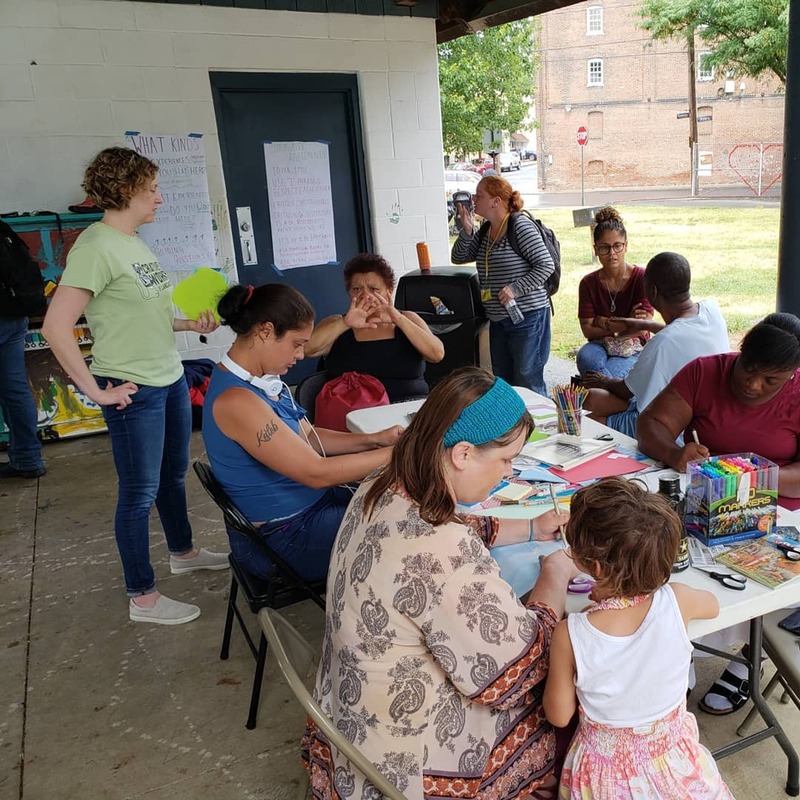 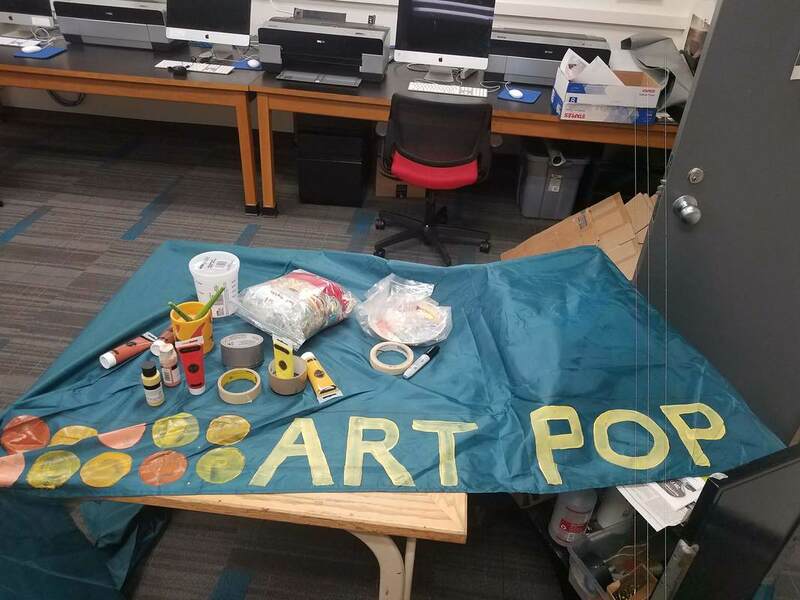 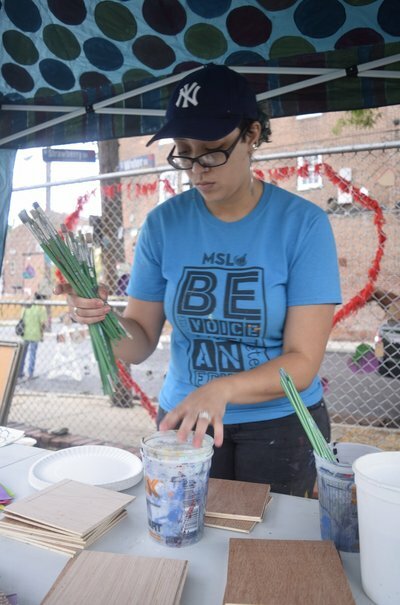 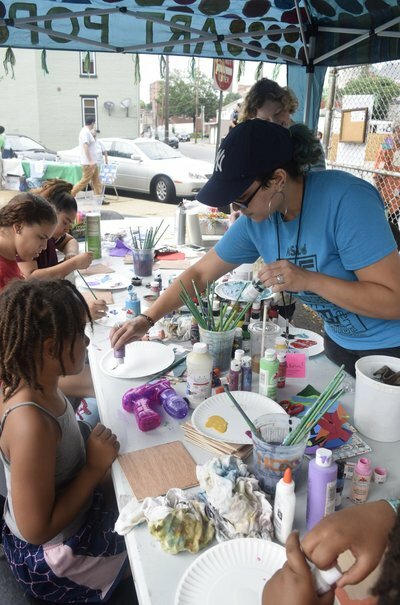 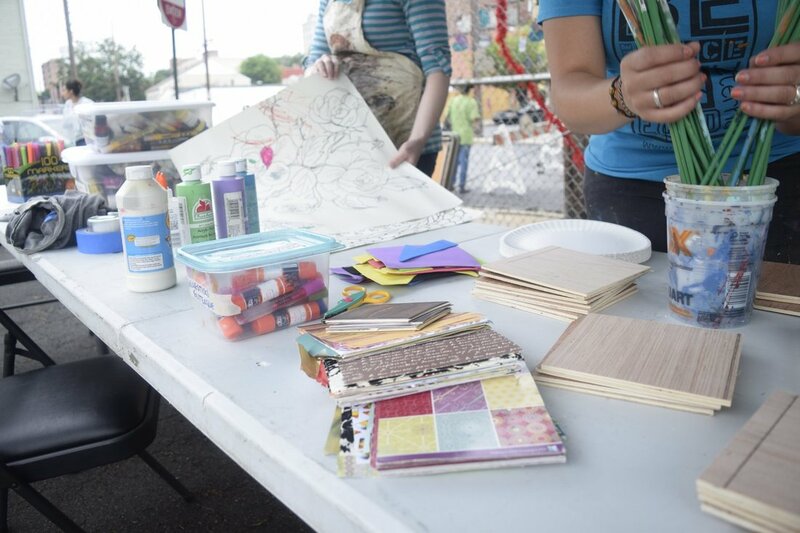 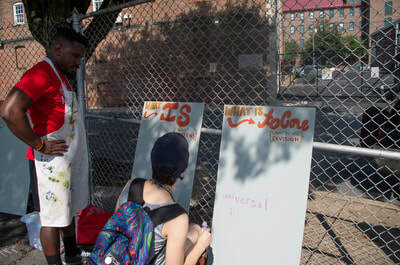 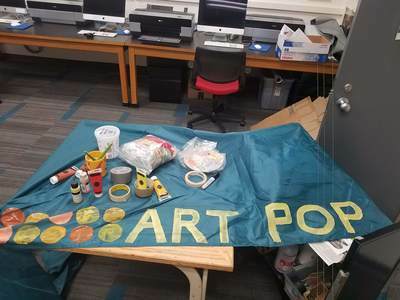 I believe that having pop-up crafting sessions throughout the duration of this pre-renovation phase will help establish a sense of community amongst all park attendees and will allow me some unfiltered conversation/conversation without a deliberate agenda. 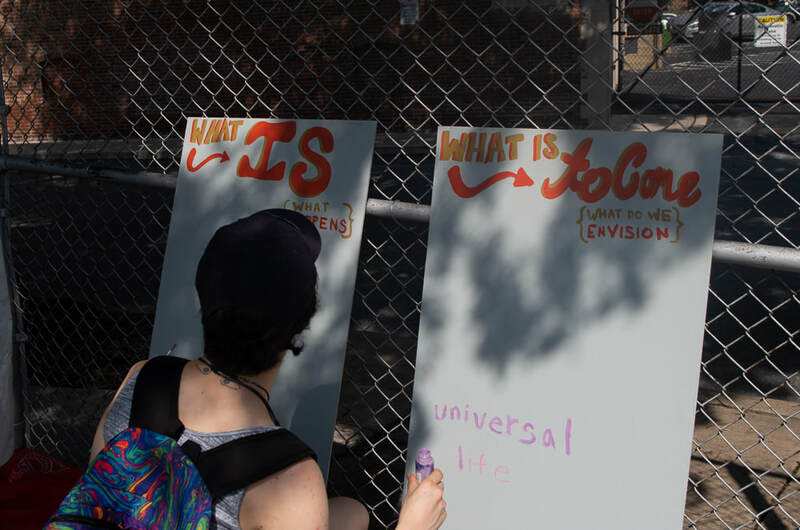 Making together, much like sharing a meal, has the capacity to break down barriers, open up new avenues for conversation, and reveal bonds that may not otherwise be exposed. 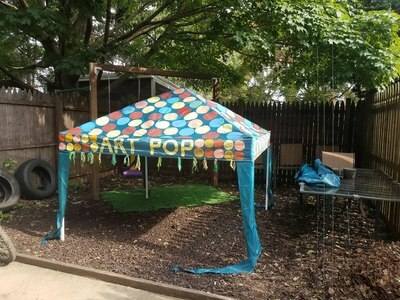 Using a tent and table, I hope to create a visual presence that is inviting and non-exclusionary. 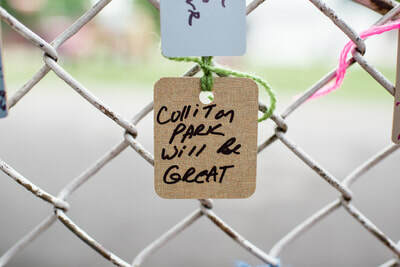 I believe that as more residents from various backgrounds begin to occupy the park, we can start to see healing, community, and a sense of local pride emerge again. LIKE WATER is a community zine that explores the resilience of a community through water as a metaphor. 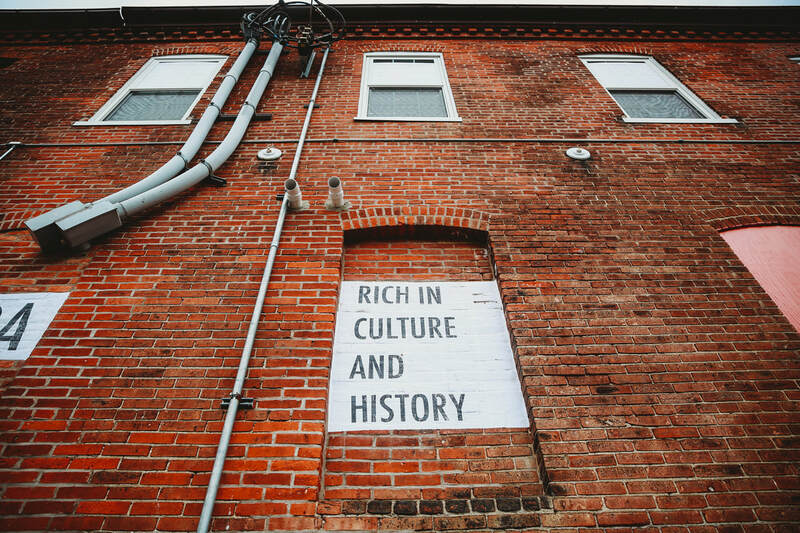 We discussed the history of the place (Water Street in Lancaster City) and how despite all kinds of human intervention, the stream still seethes beneath us and reminds us that it is unstoppable. 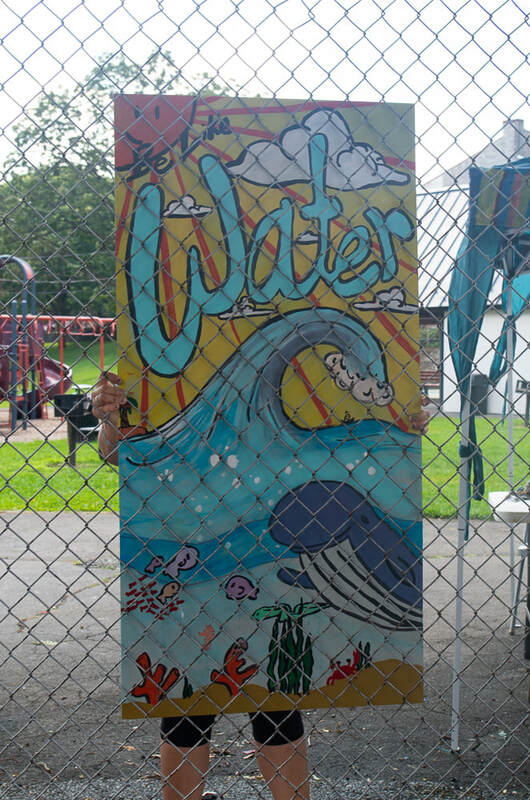 What happens when a community is like water? Through this lens we asked ourselves: What memories have we had in this place? 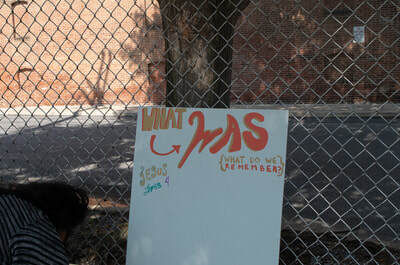 How did they makes us feel? How did they inform how we think about this place? 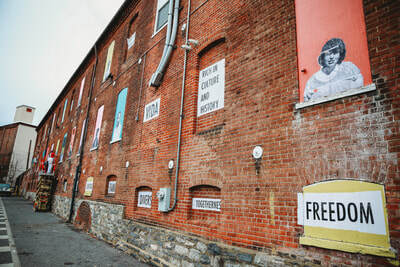 What memories do we want to have in this place? 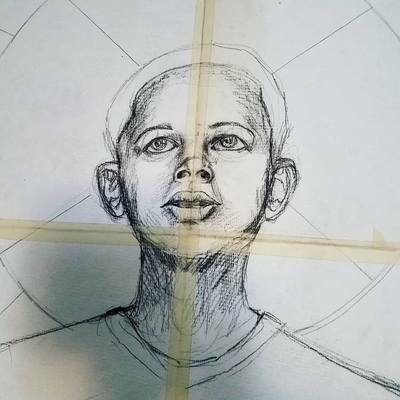 How can we start to flow in that direction? We created pages for a collaborative zine that will be printed and distributed to the community and to city officials in the Fall of 2018. 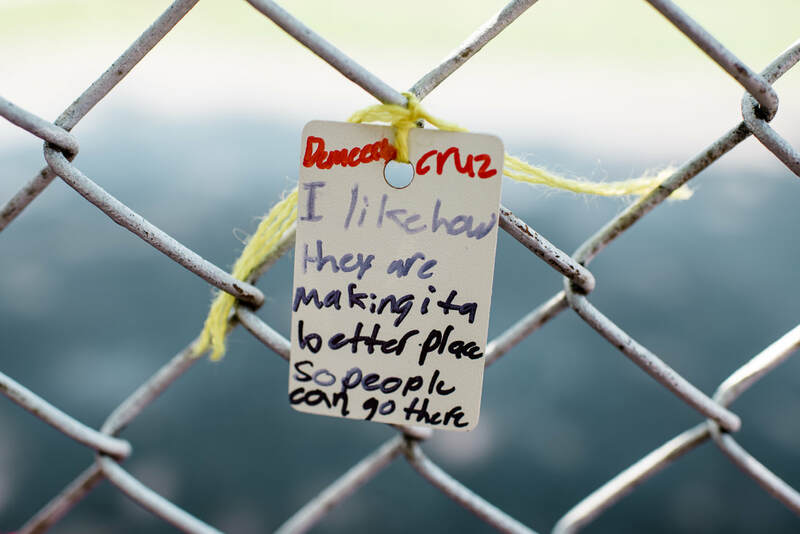 These portraits and phrases were collected during the summer of 2018. 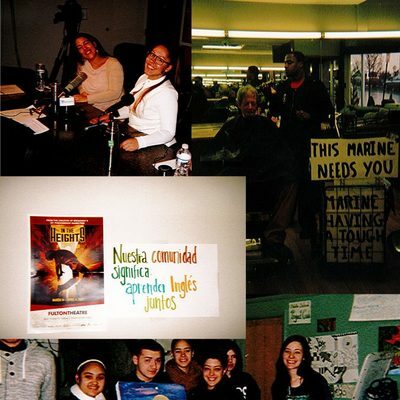 These are just a few of the folks that shape this community into what it is today. 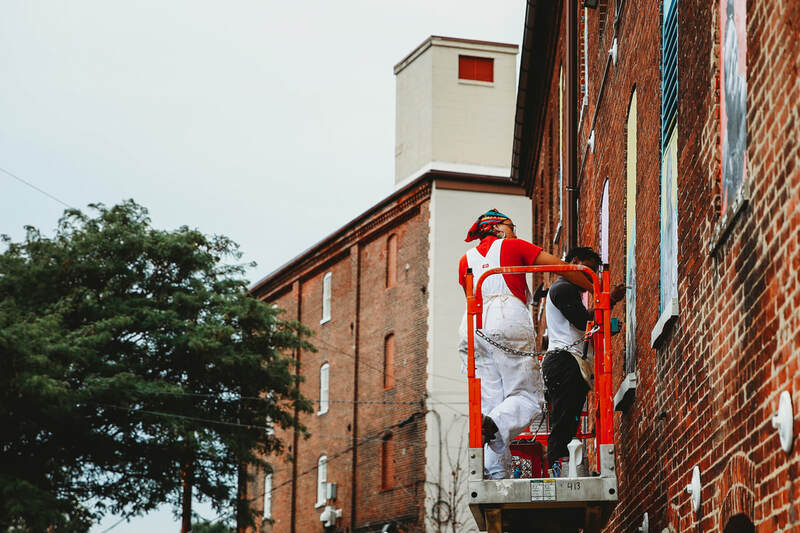 From folks that were born and raised on these streets, to the next generation of residents who call this neighborhood home, this is your collective vision reflected back to you. 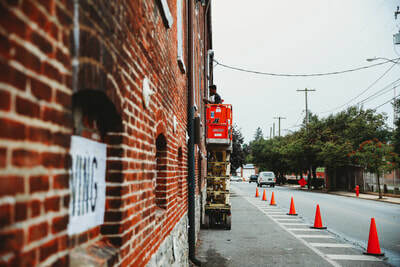 No matter how much a place changes the impact of the folks that have come before, that are here now, and are to come can shape and mold what that place is. 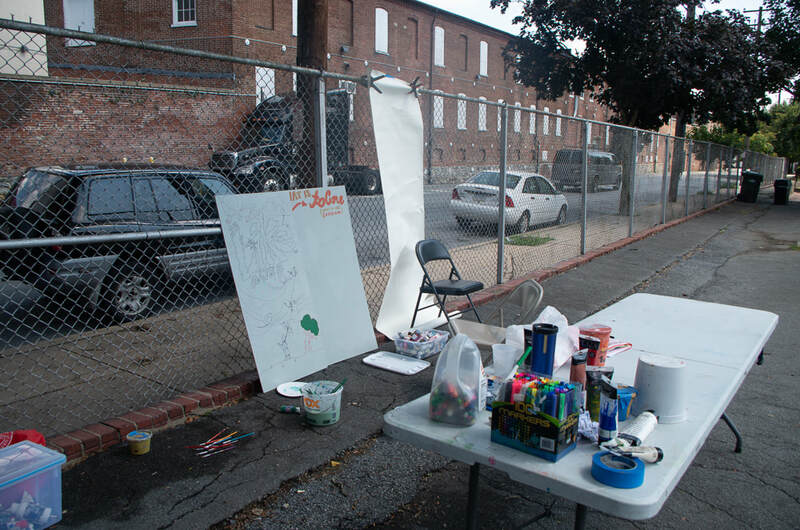 This neighborhood is what you make it. Keys for the City is an annual project sponsored primarily by Music for Everyone. 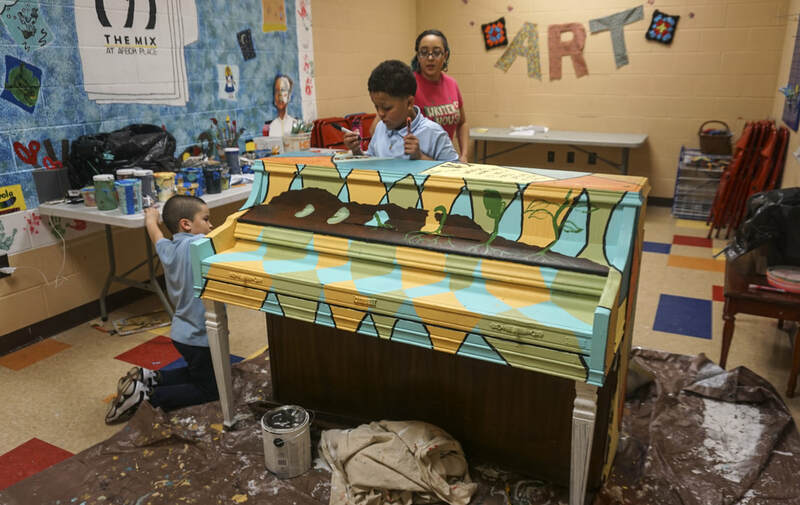 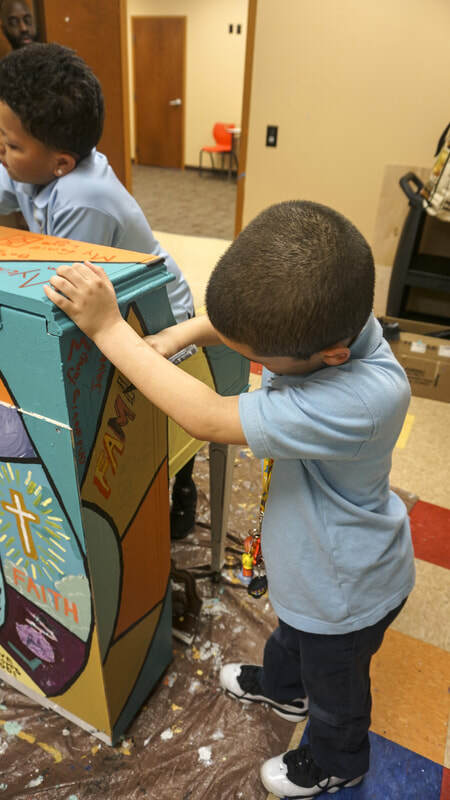 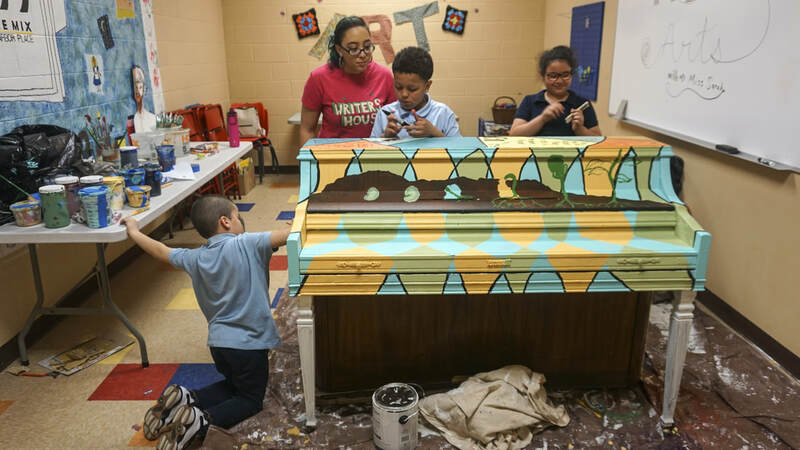 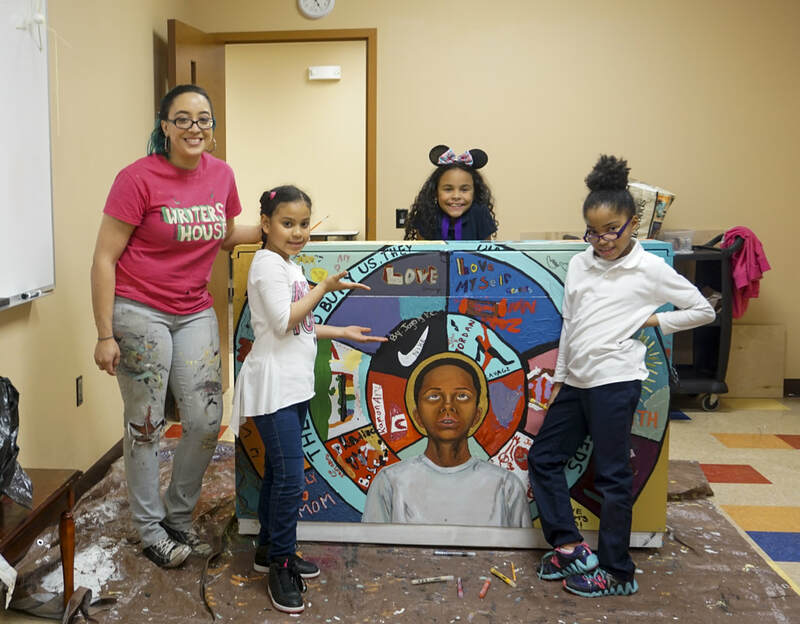 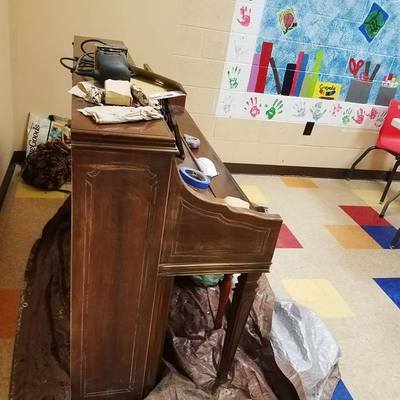 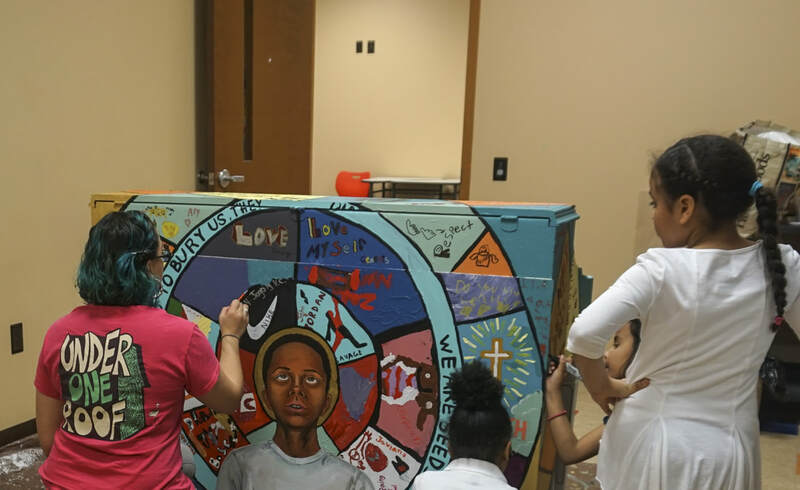 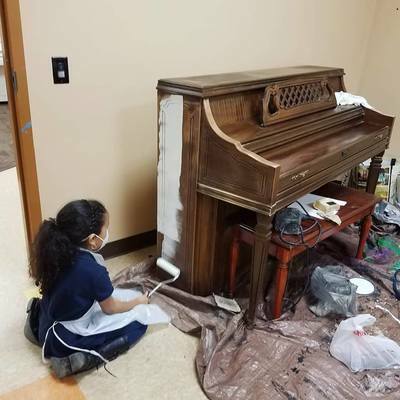 Various community institutions and groups are invited to paint a donated piano to promote and represent their impact in the community. 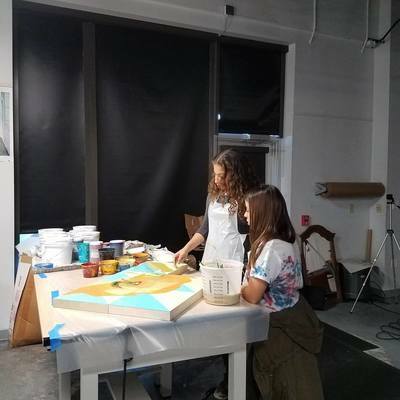 Local artists are invited to collaborate with the represented institution to create artistic pianos that will be on display throughout the summer. 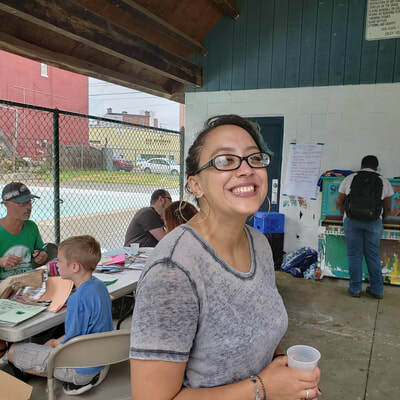 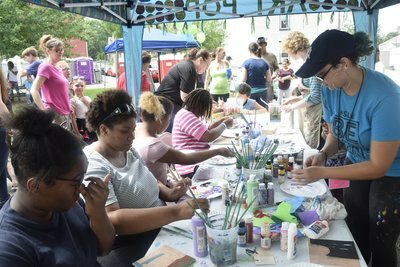 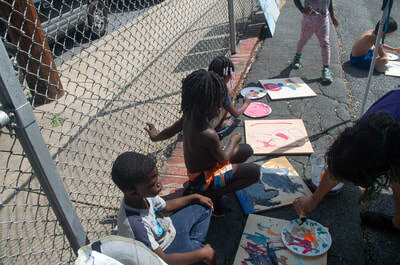 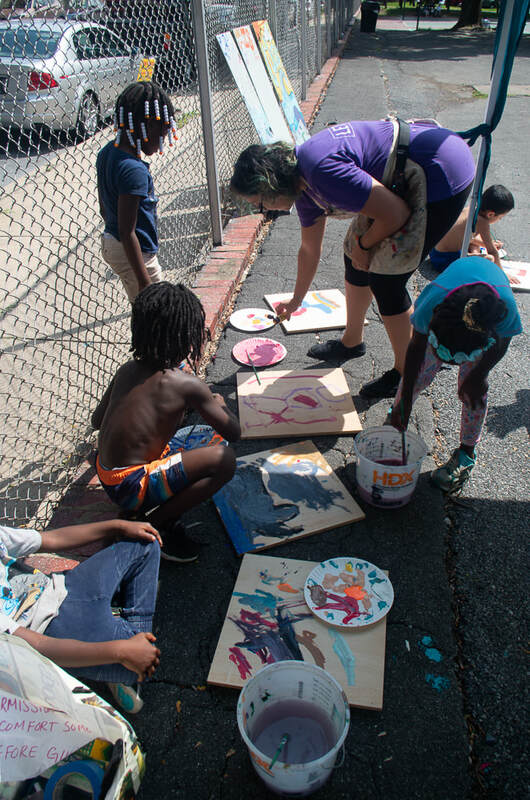 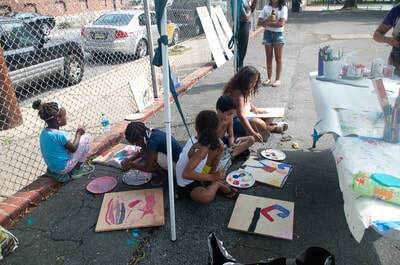 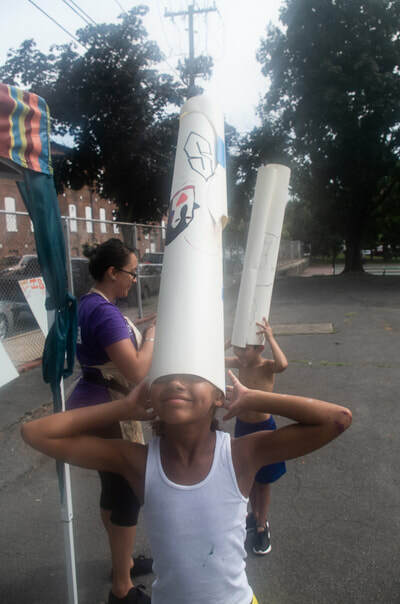 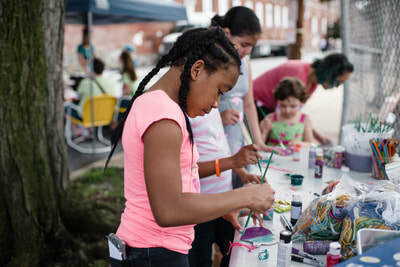 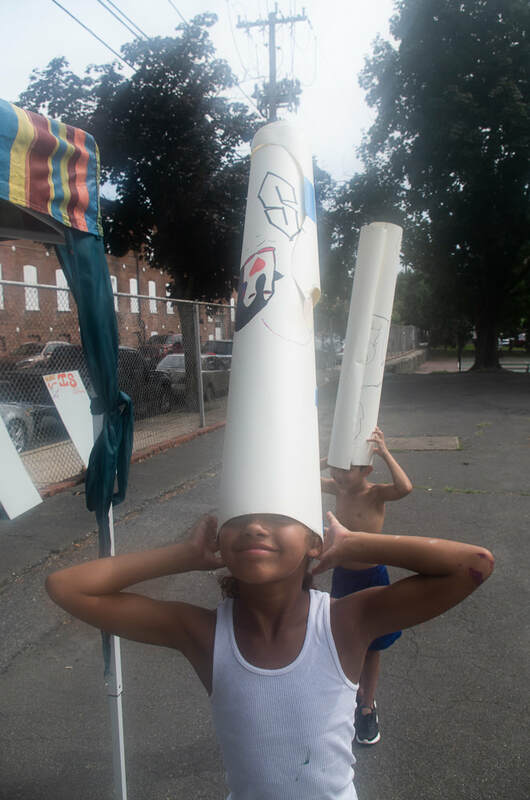 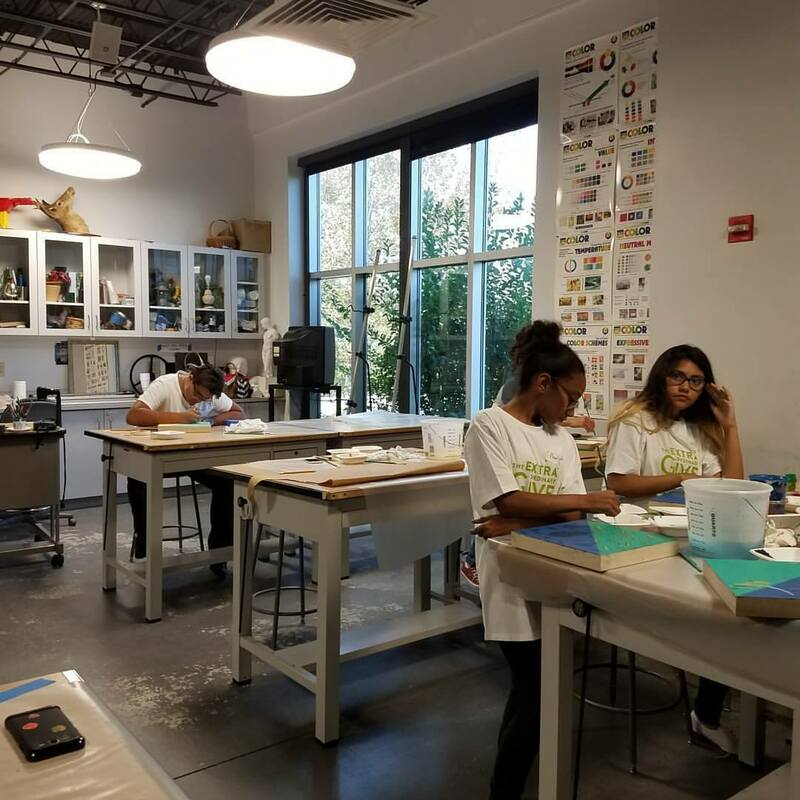 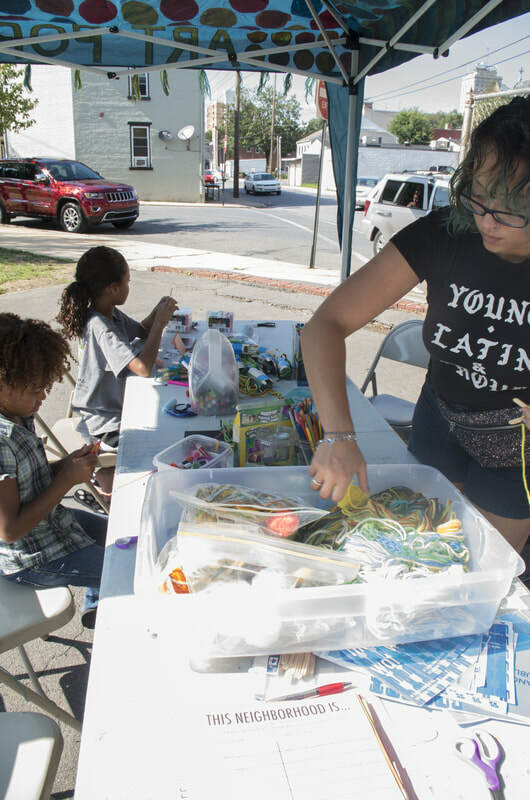 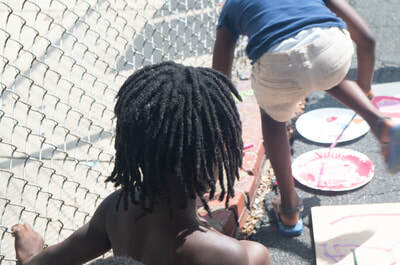 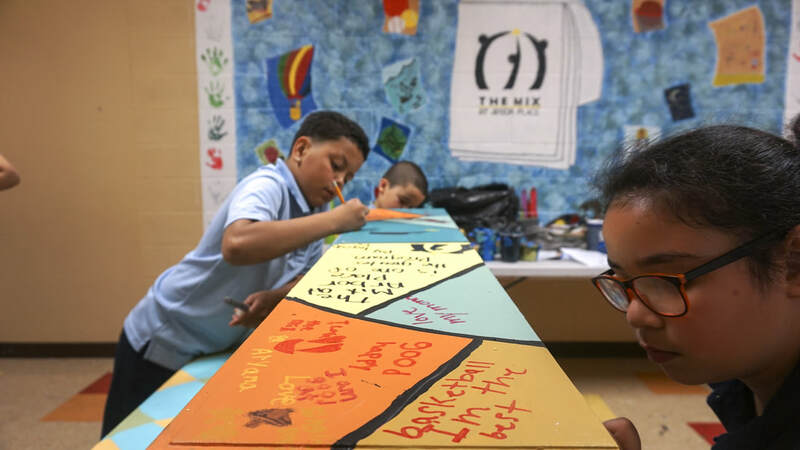 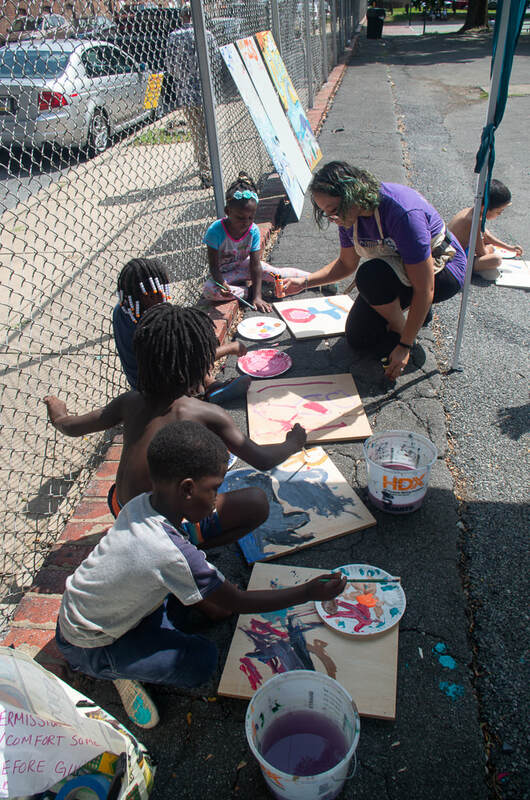 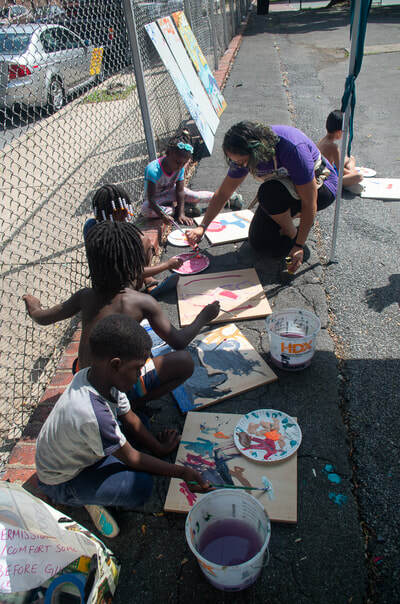 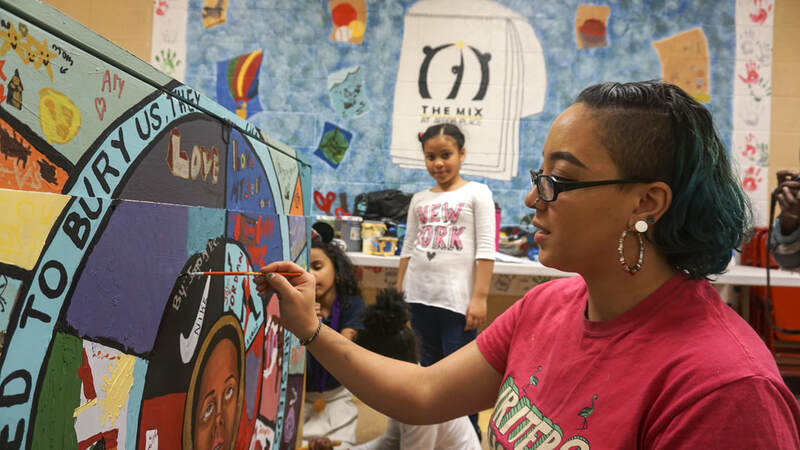 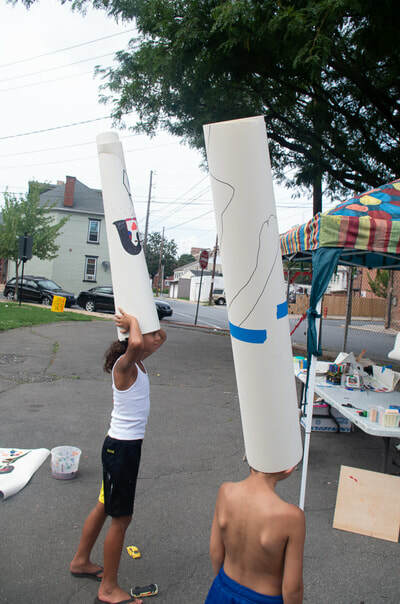 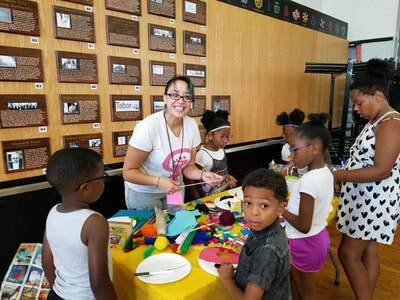 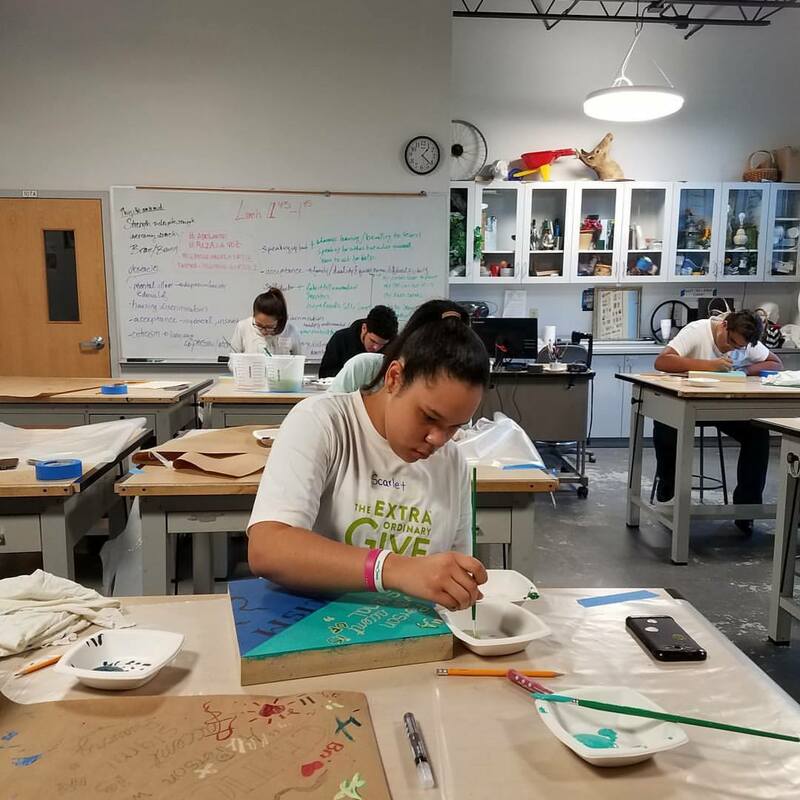 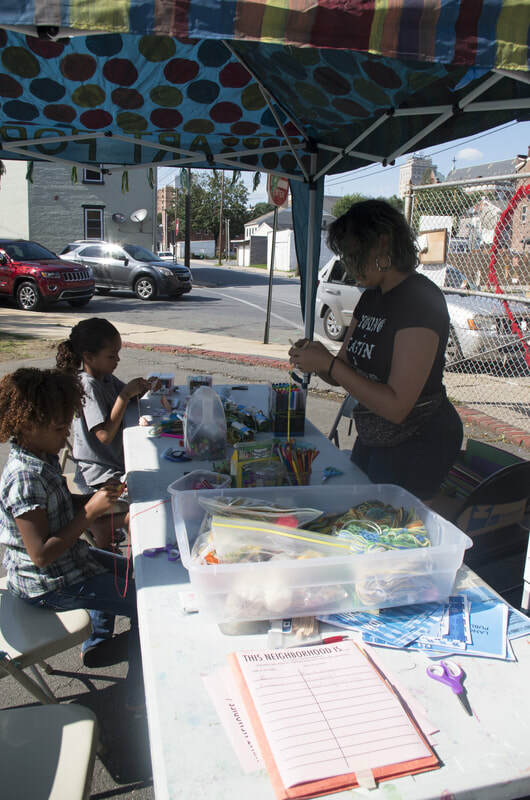 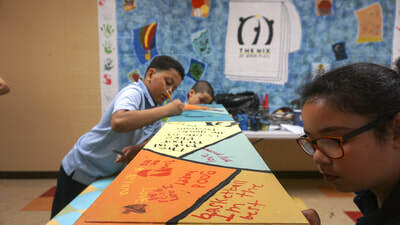 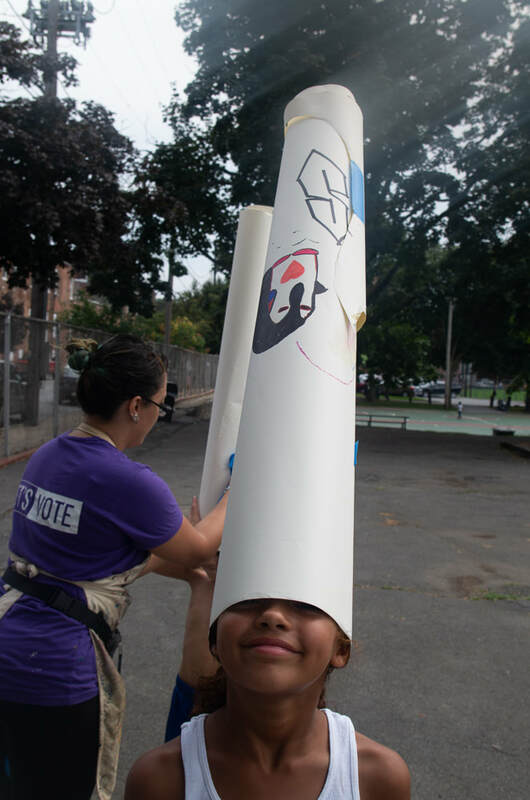 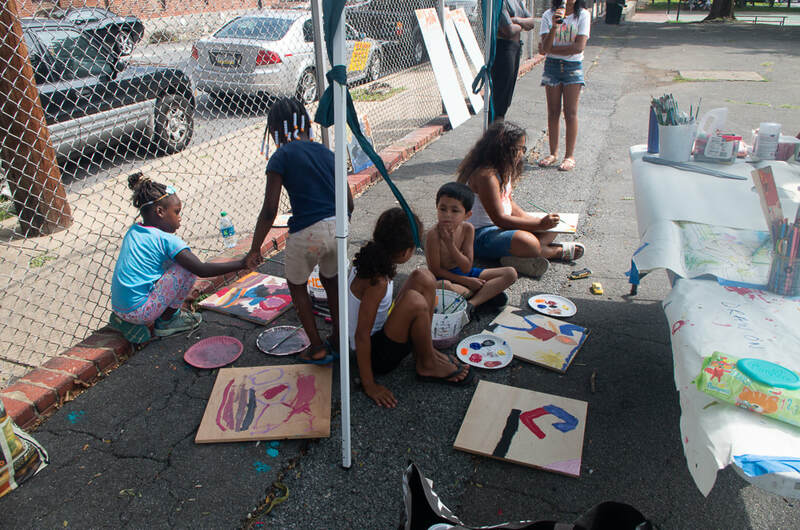 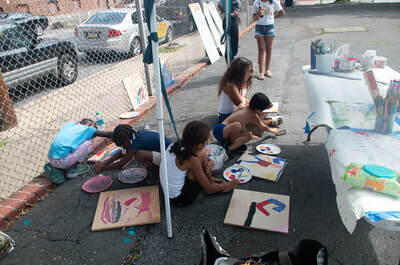 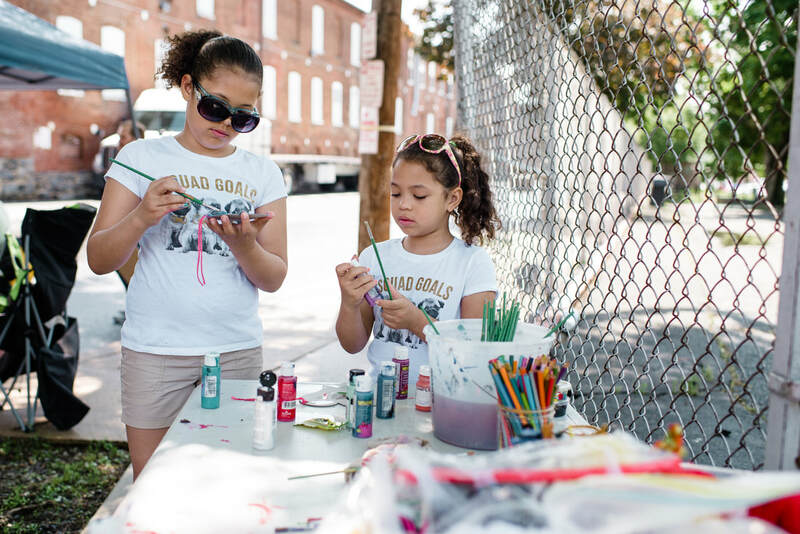 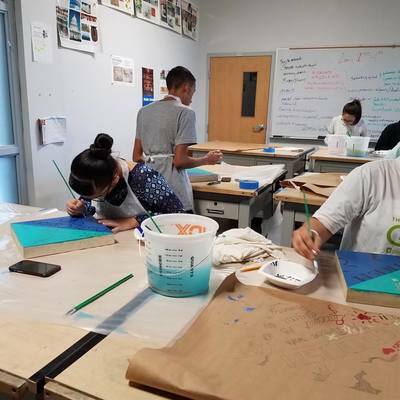 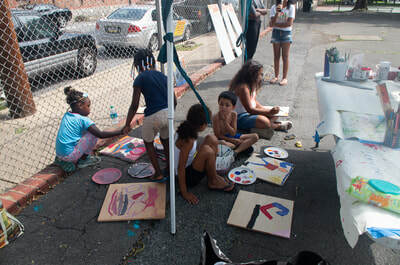 Salina is working with children from The Mix at Arbor Place, an after school program for youth in the Southeast and Southwest neighborhoods of Lancaster City. 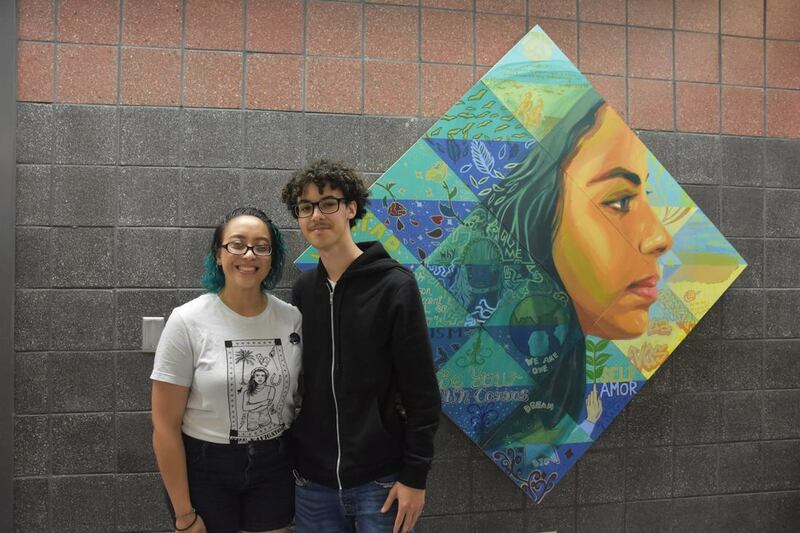 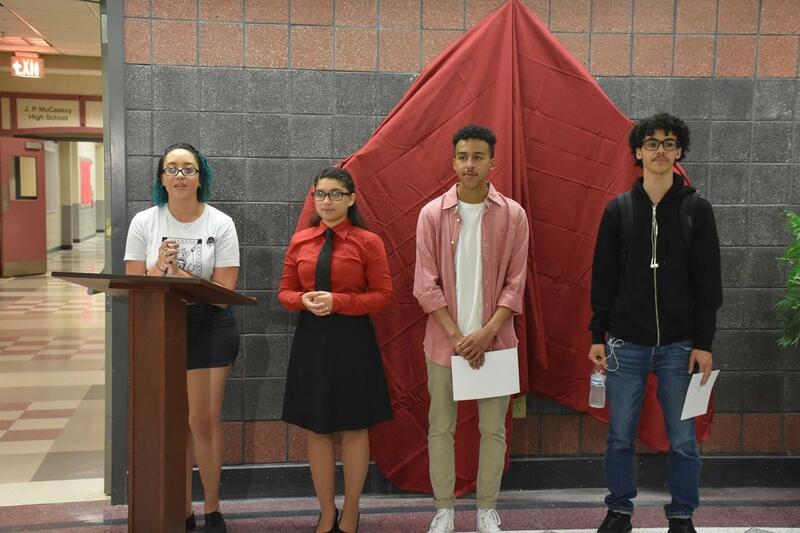 Most of the youth are Latinx and from the School District of Lancaster. 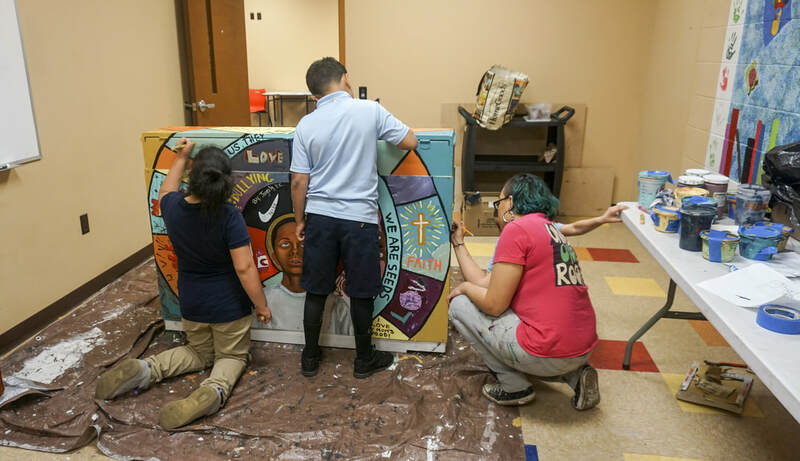 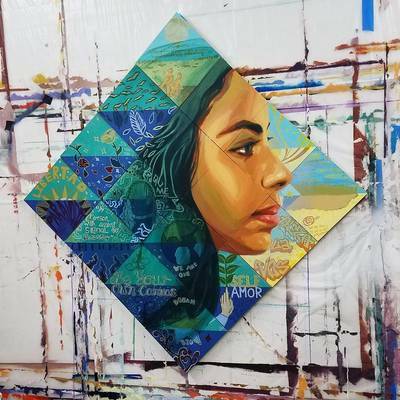 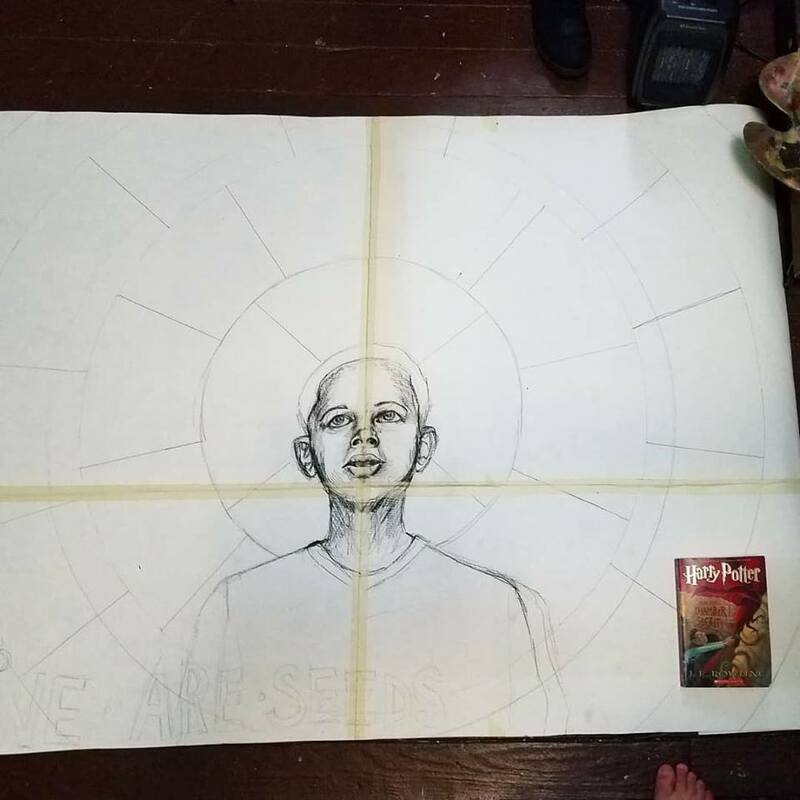 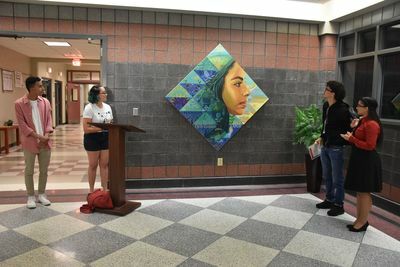 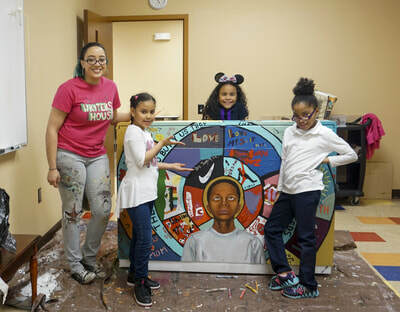 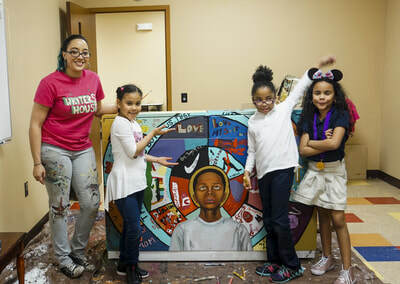 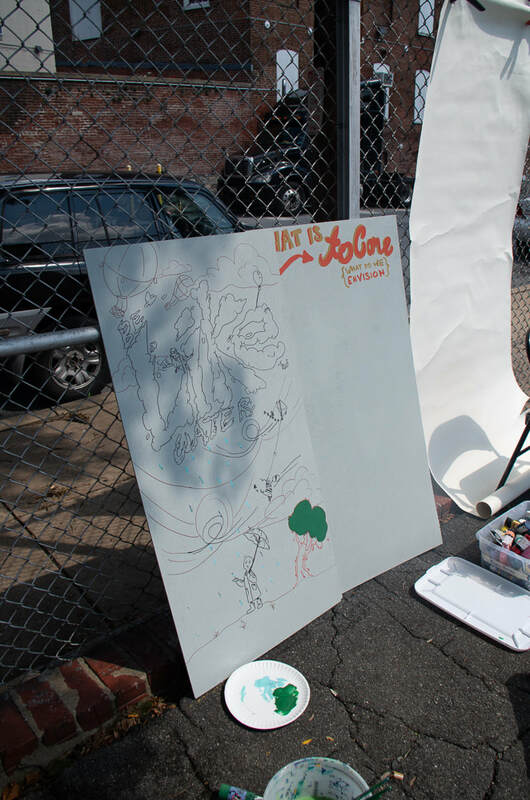 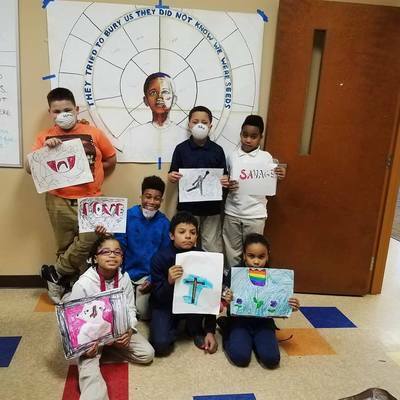 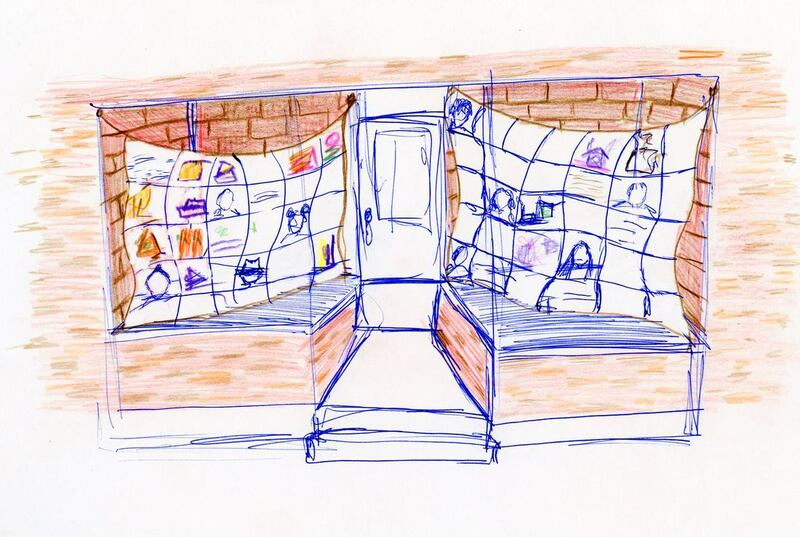 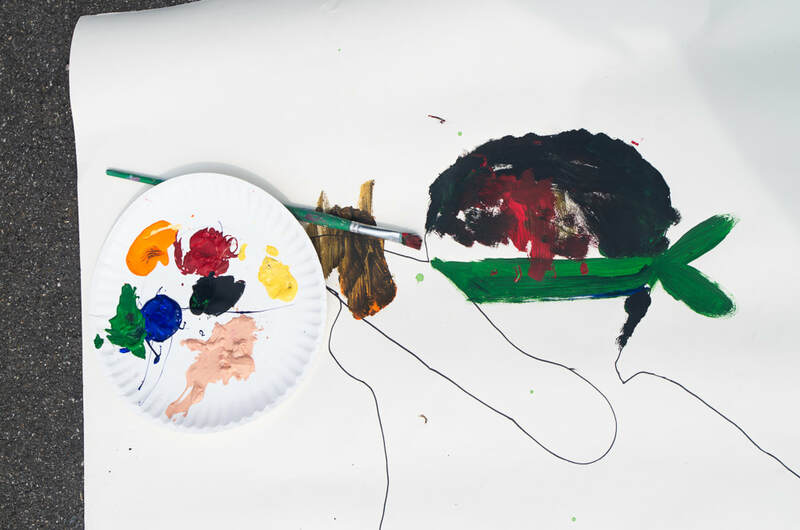 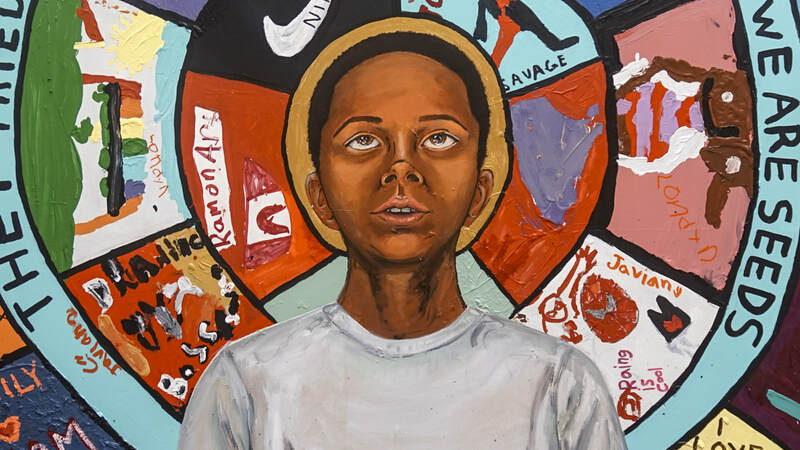 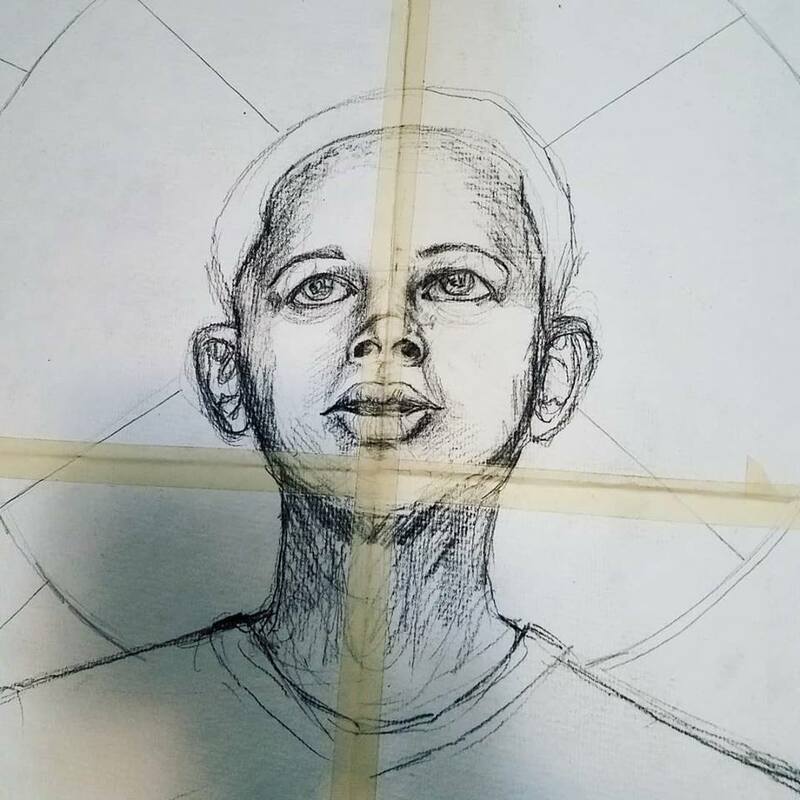 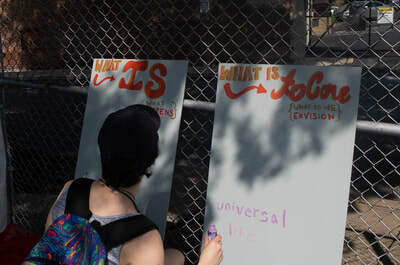 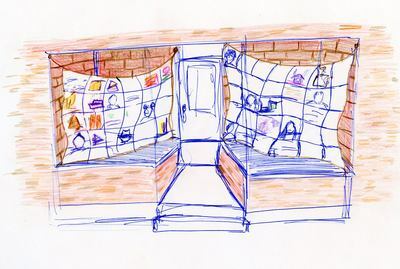 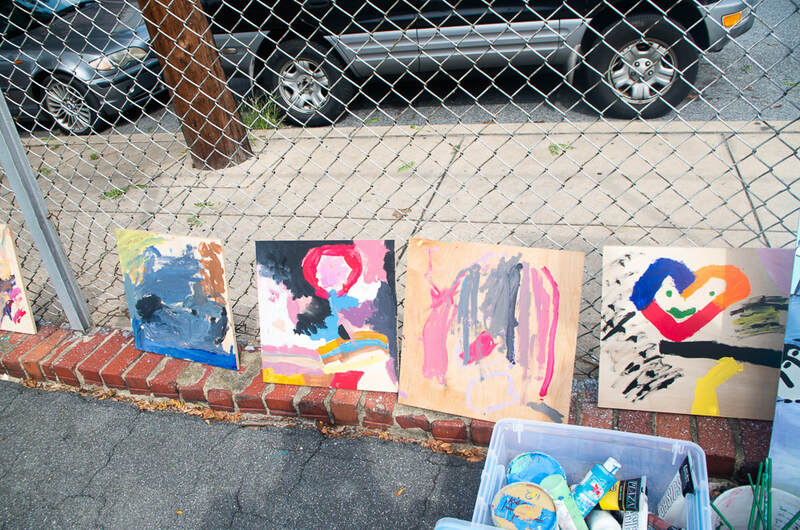 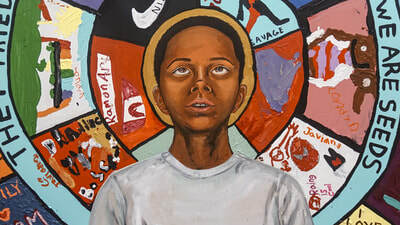 Salina is creating a mural-like painting that includes original work by the youth (sketches pictured below) and artwork created by Salina to tie it all together. 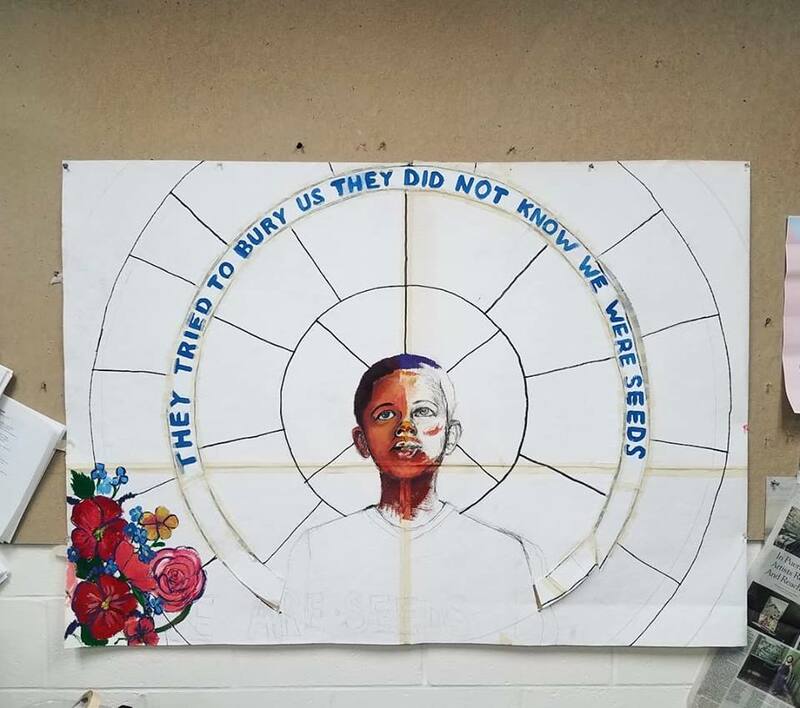 Their theme is the phrase (in English and Spanish) "They tried to bury us but they did not know we were seeds | Quisieron enterrarnos pero no sabian que eramos semillas". 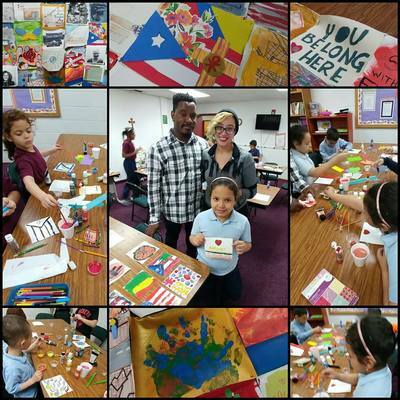 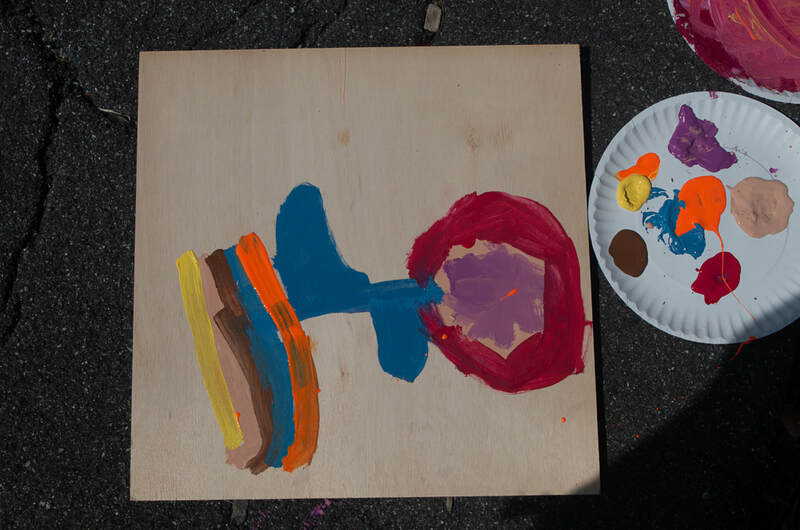 The youth were asked to create artwork that reflected something that made them feel happy or proud no matter how bad things got. 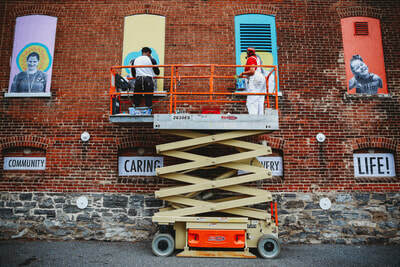 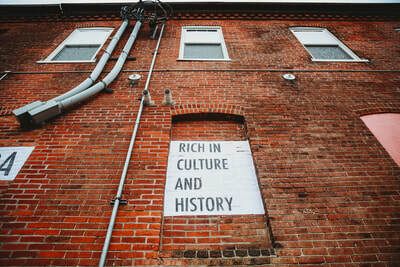 This collaborative project is now on view in Downtown Lancaster at Lancaster Square near Fulton Bank. 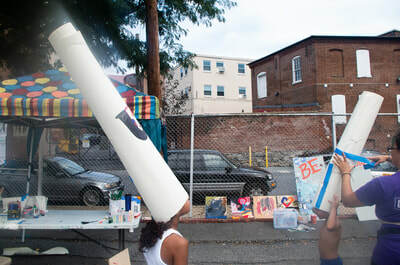 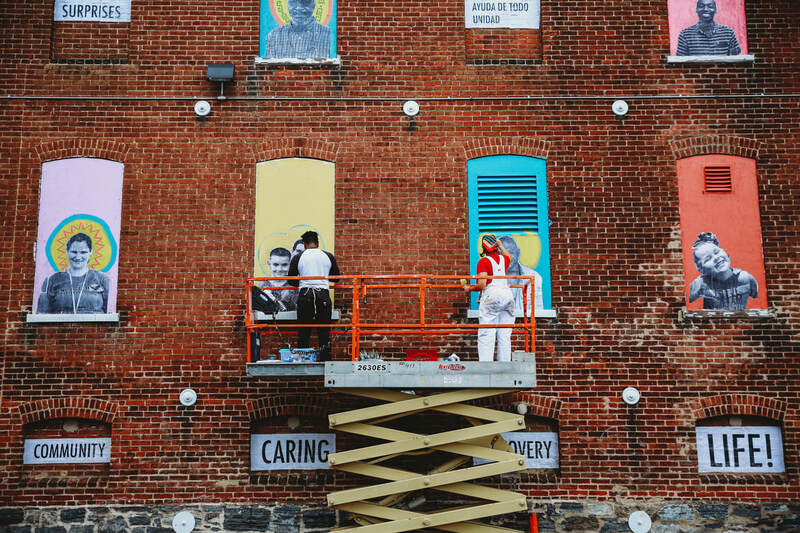 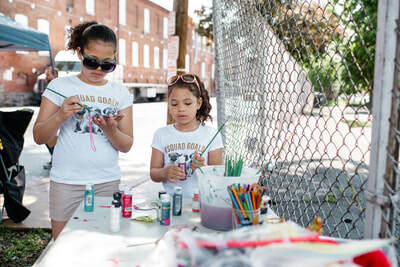 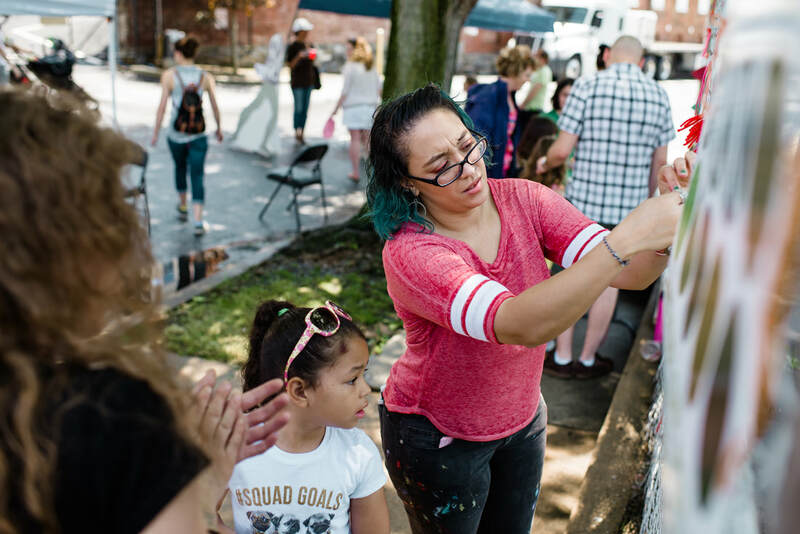 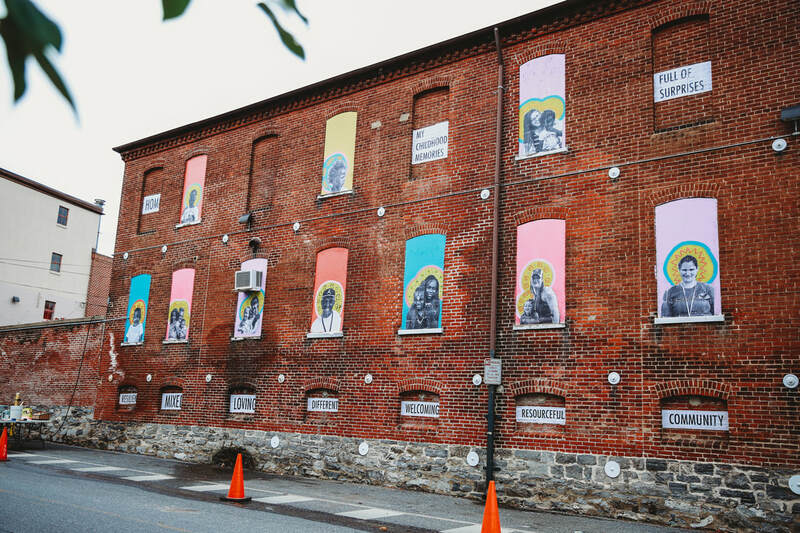 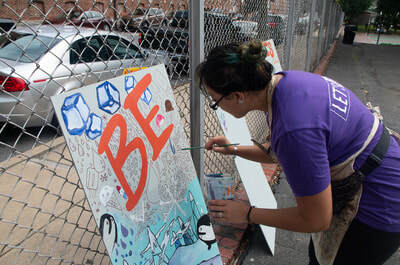 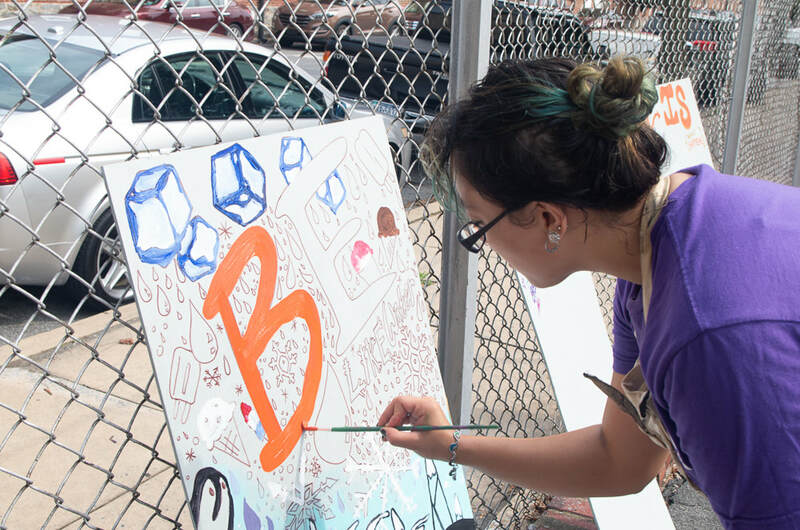 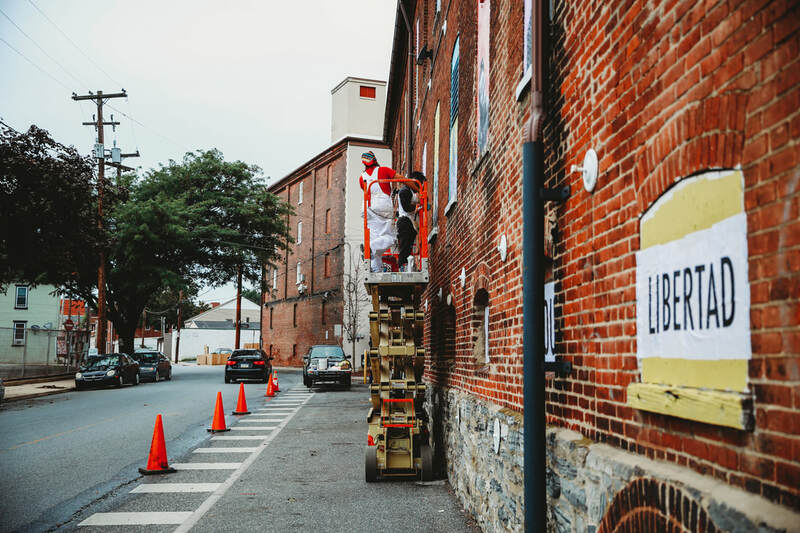 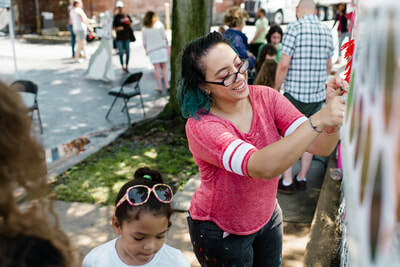 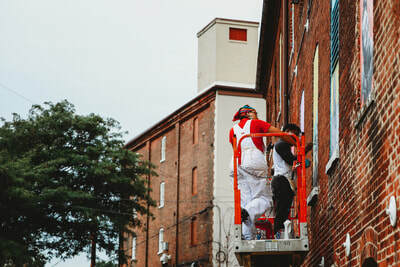 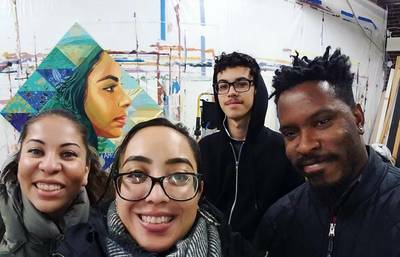 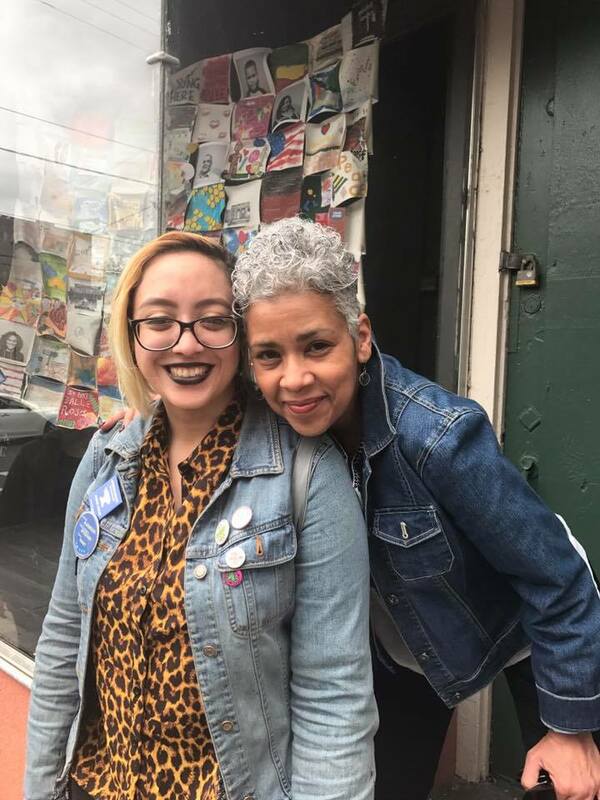 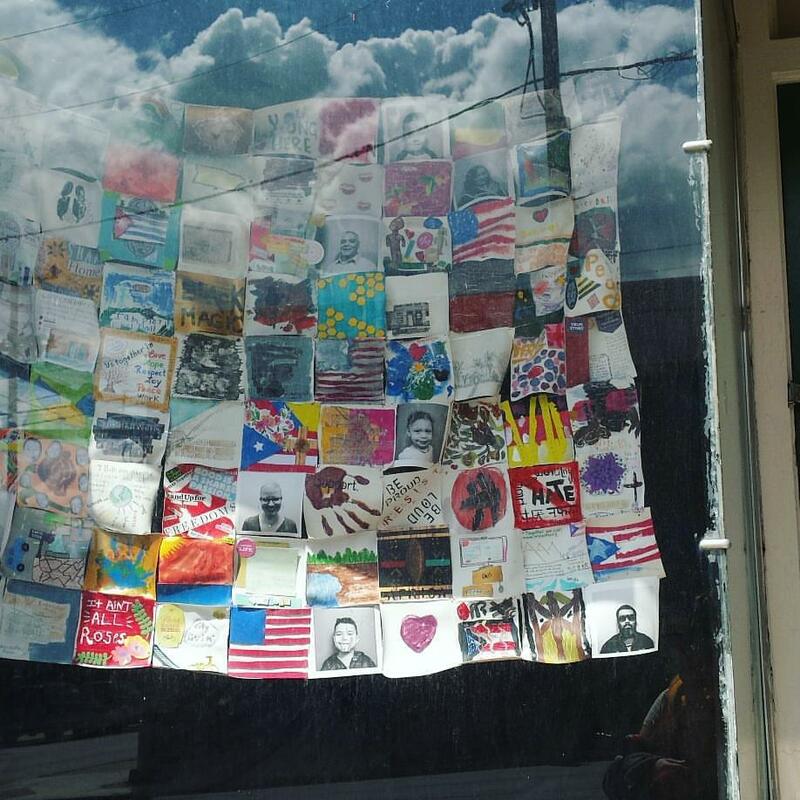 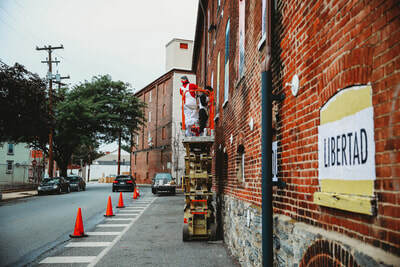 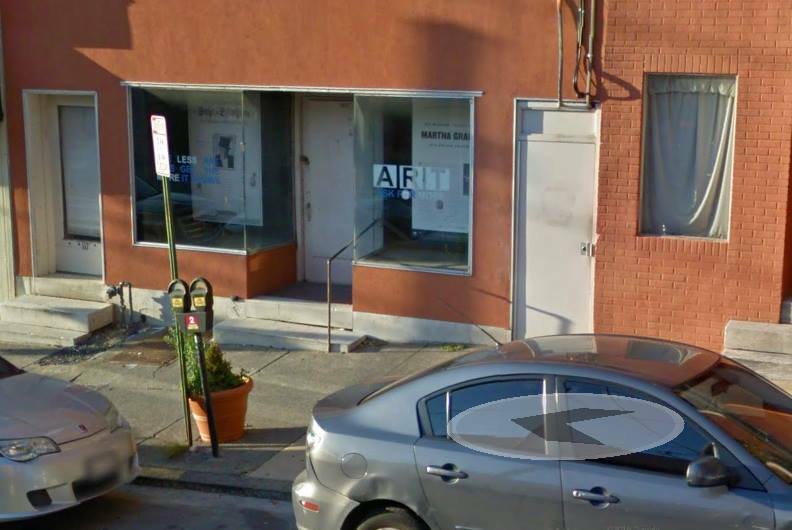 The Fulton Theater commissioned Salina Almanzar to create an interactive piece for their storefront property on King Street in Lancaster City. 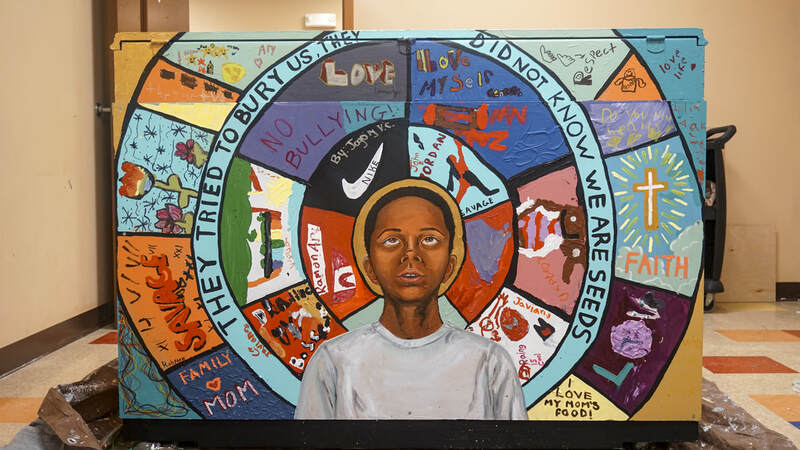 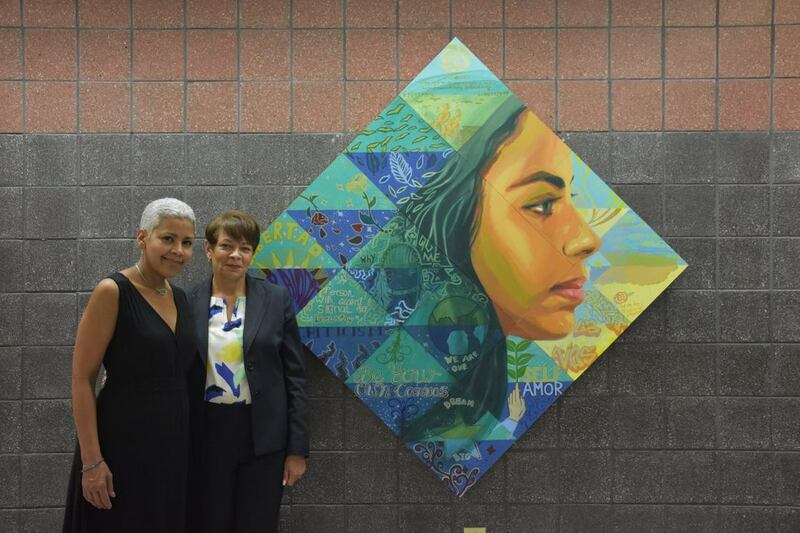 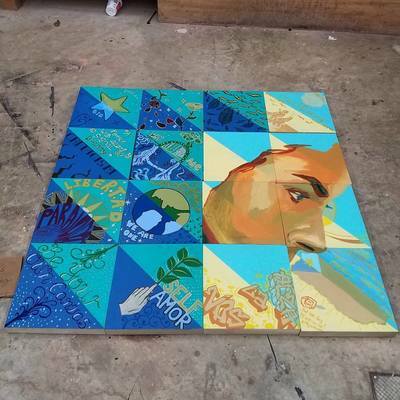 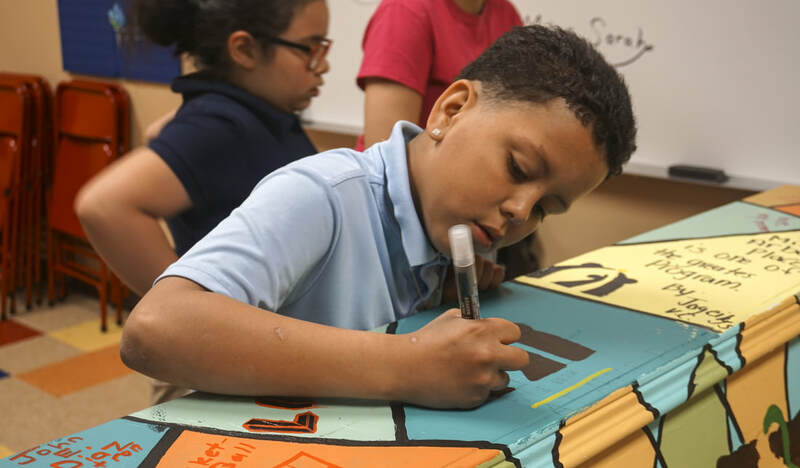 The quilt was created in collaboration with community members, elementary and middle school students, and various community groups. Images of folks from the community are pictured along with images created by folks in the community. Salina scheduled Pop-Up workshops in strategic neighborhood locations as well as made school visits and held after school workshops. 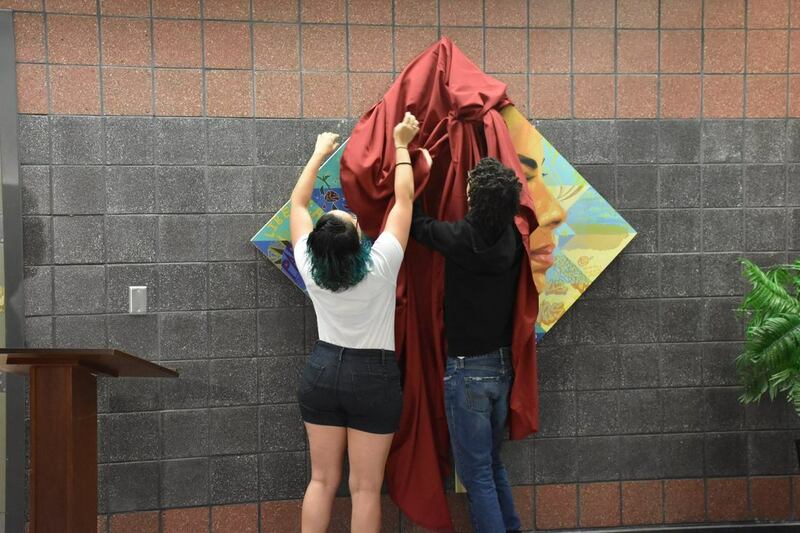 The quilt was unveiled at the same time as the opening of In the Heights. 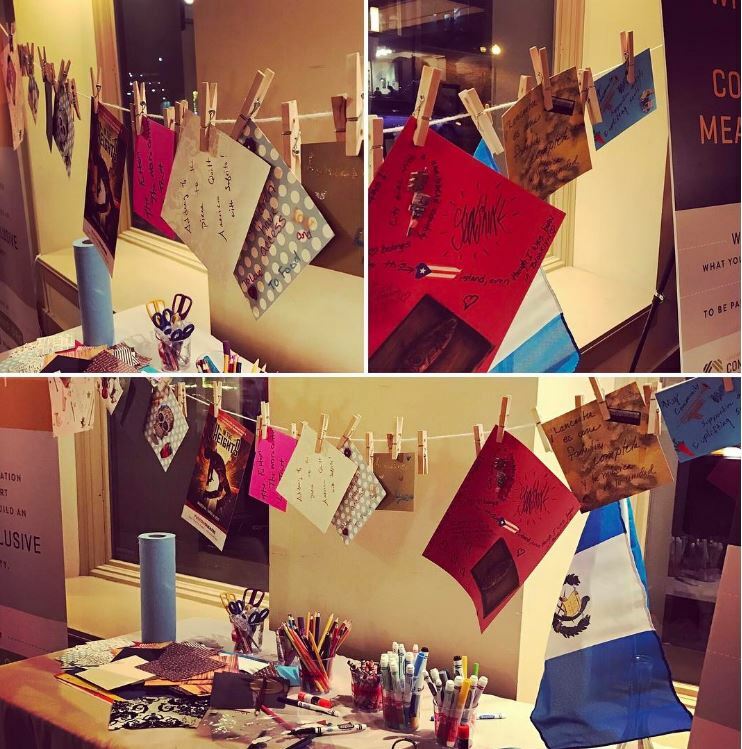 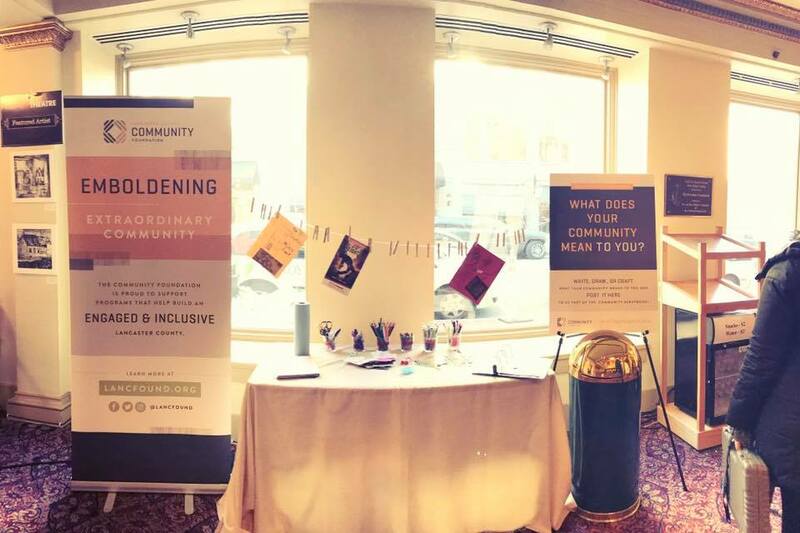 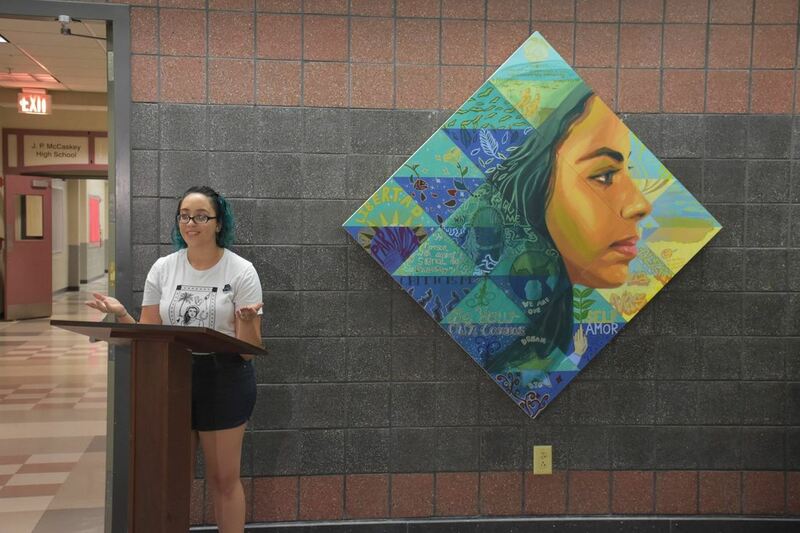 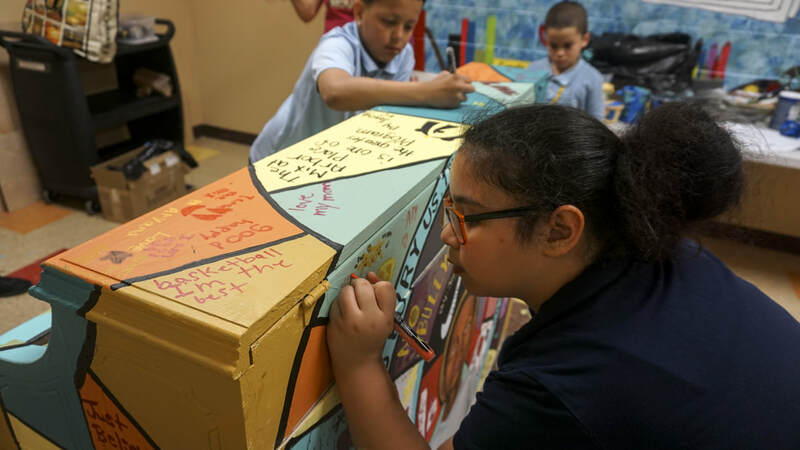 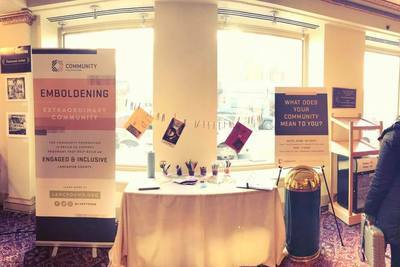 The Community Scrapbook, created and maintained by Salina Almanzar, existed initially as a space in the Fulton Theater lobby where attendees would add scrapbook pages to a communal binder. 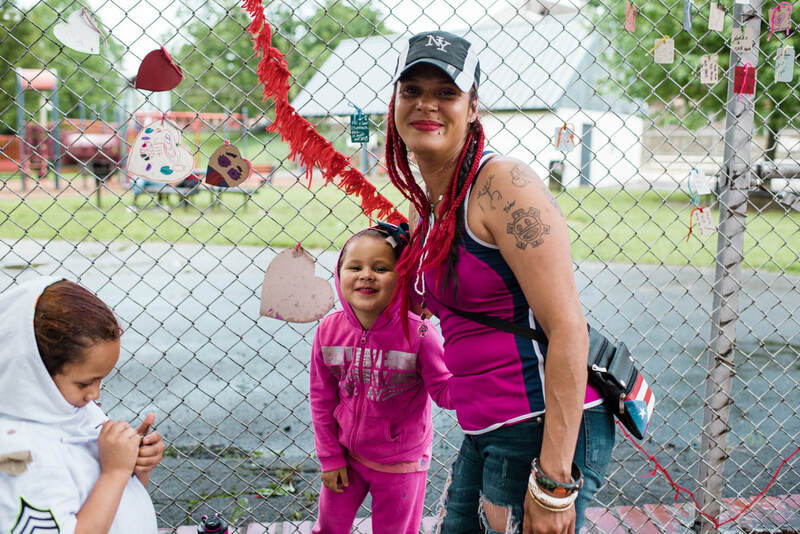 Cameras were given to various community groups to document what their community meant to them. The final form of the scrapbook was curated by Salina and includes prints from the disposable cameras. 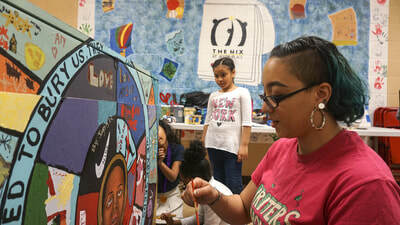 This is now an ongoing project inspired by the musical In the Heights and managed/sponsored by the Community Foundation. Pages are added continually as the scrapbook travels around Lancaster County and City.